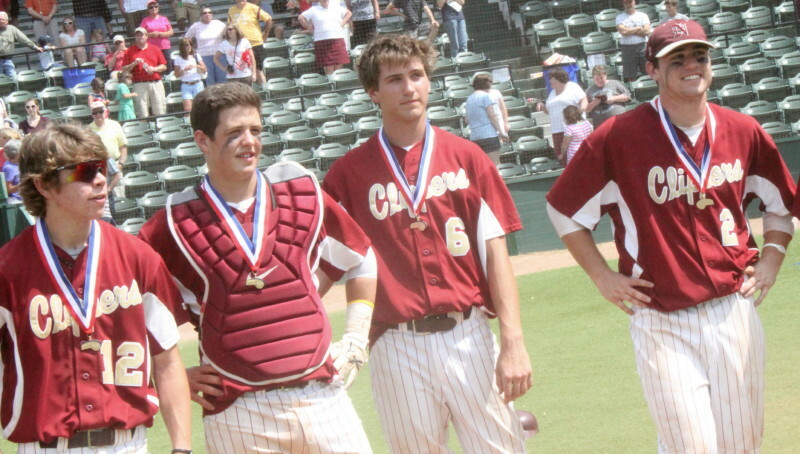 Dave Cusack, Connor Wile, Brett Fontaine, and Jimmy Conway await the championship trophy presentation. 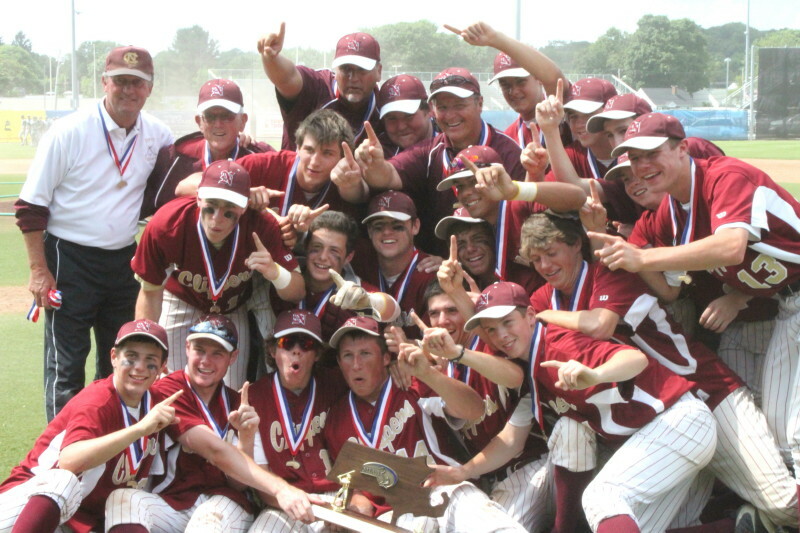 (Lynn) The Newburyport Clippers are the Massachusetts Division 3 state champs in baseball for 2011. 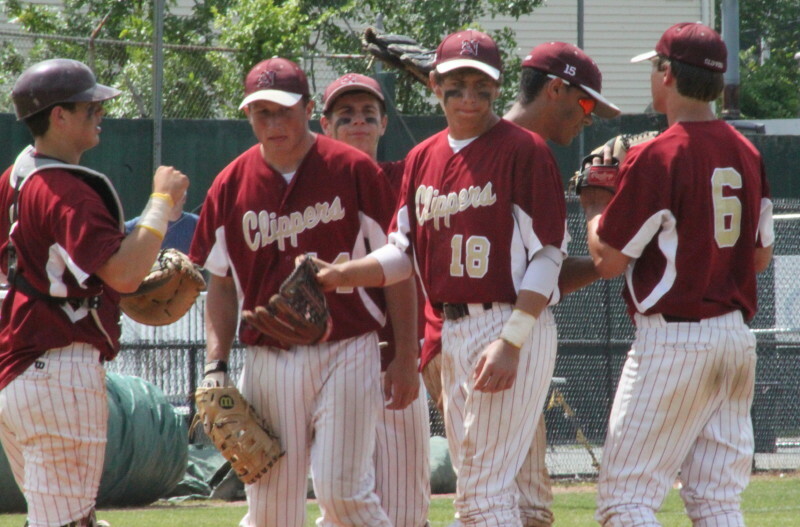 The Clippers (23-5) put together a thirteen game winning streak, including six in the state tournament, to win their first baseball state title ever at Fraser Field in Lynn on Saturday afternoon. Their opponent in the finals was Pioneer Valley from Northfield – winner of the West. The final score was, 9-4, but trust me, this game didn’t get “comfortable” until Newburyport survived a scary top of the sixth and then put up two insurance runs in the bottom half of the six to get that final-score, five run lead. Clipper coach Bill Pettingell arrives for his final game. 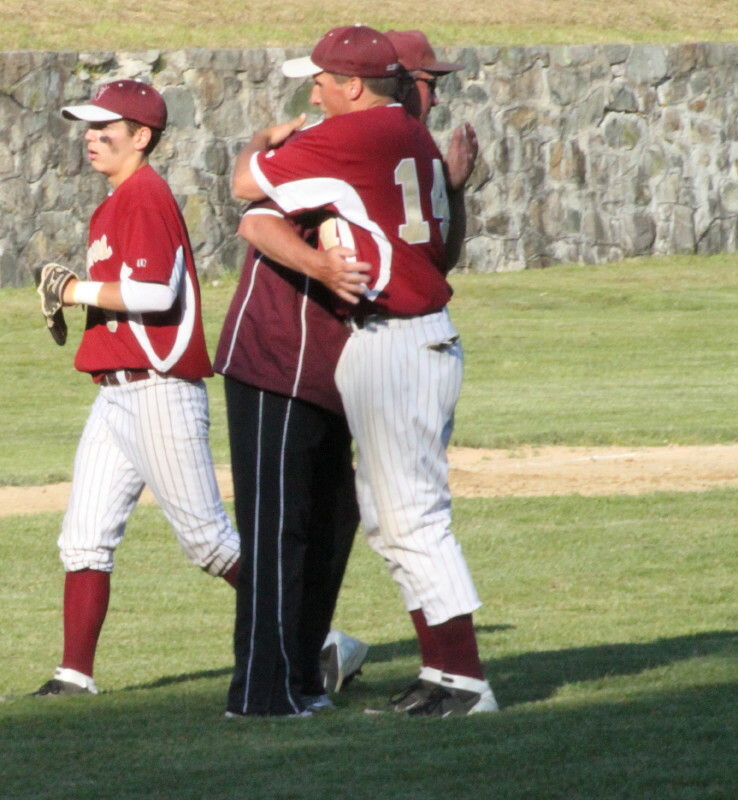 Clipper coach Bill Pettingell gets to walk away from a 40-year career with a storybook ending. The team’s goal to get him his 600th win kept their attention in the early part of the season and the desire to get him a state title kept their attention the rest of the way. I recall reading that he said that this team was “special” and a great team to finish with. I passed it off as “coach speak,” figuring you’d expect a coach to be positive about the team he has. But it turns out that this team was special and showed us all that it had what it takes to end up champions. Good for them! Let me get that scary top of the sixth out of the way first. The Panthers (18-8) were down 7-4. Derek Thayer started the inning with a bullet down the 3rd baseline. 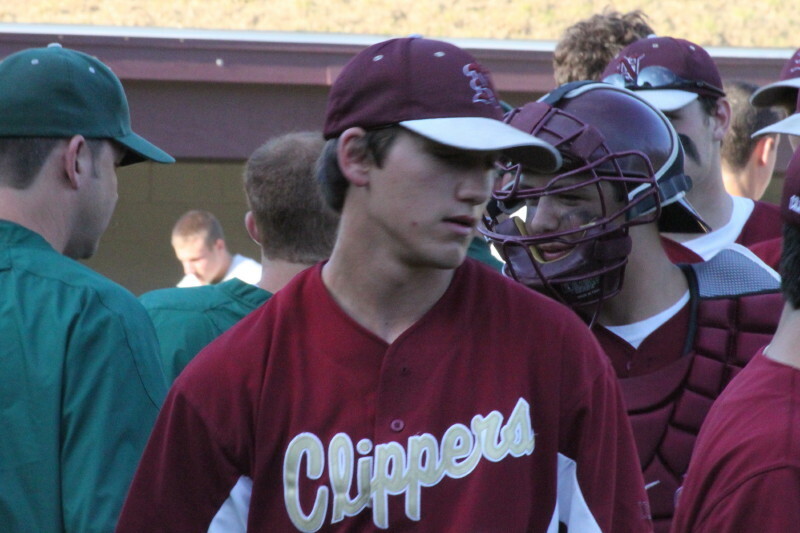 Clipper third baseman Drew Carter made the play of the game with a backhand stab and a strong throw to first. 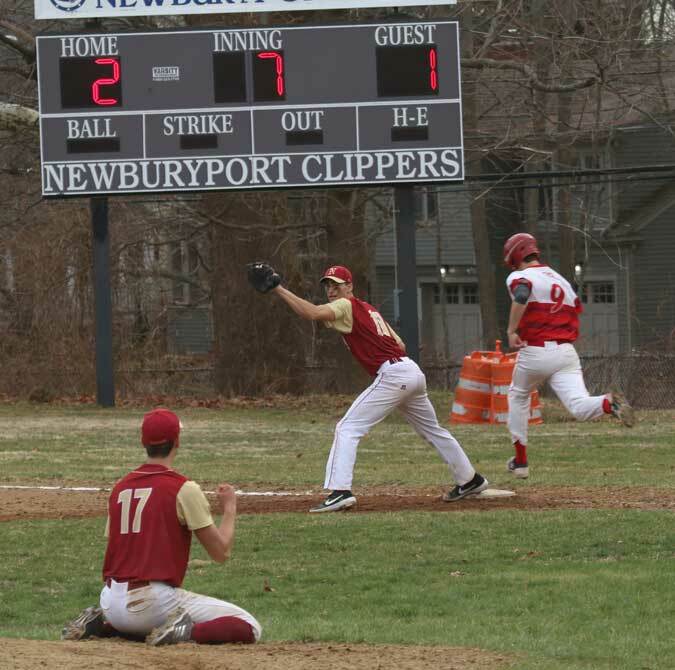 Drew’s defense looked real important when Newburyport starter Brett Fontaine walked the next two batters before pinch hitter Nick Peduzzi flaired a single to right to load the bases. That put Pioneer Valley into “one-swing” territory with the top of their order coming up. 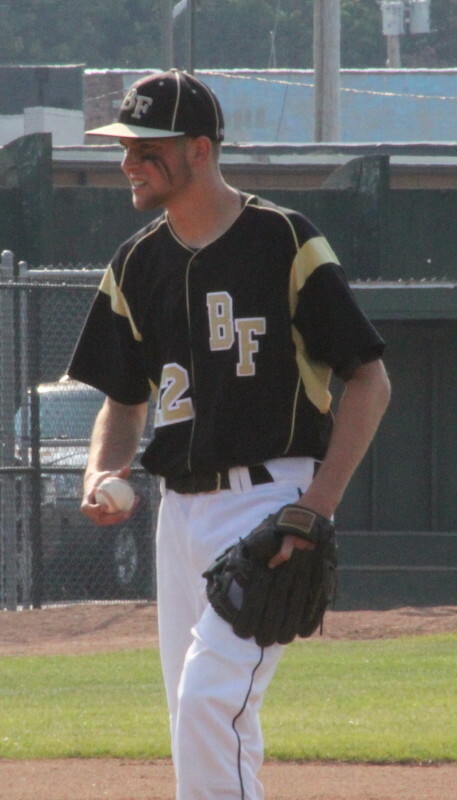 However, Brett (11th win) struck out Jordan Stempel (he had singled the inning before) and got Casey Blanchard (he had tripled the inning before) to fly harmlessly to left and the threat was over. Brett retired the side in order in the seventh with right fielder Sam Barlow handling Joey Larson’s fly for the final out. Celebrating begins after the final out. After that there was a Clipper pile-up, team handshakes, medal handouts, and trophy celebration. And to think, some folks chose the Bruins parade in Boston over this! The Clippers put plenty of pressure on the Panther defense all game long. 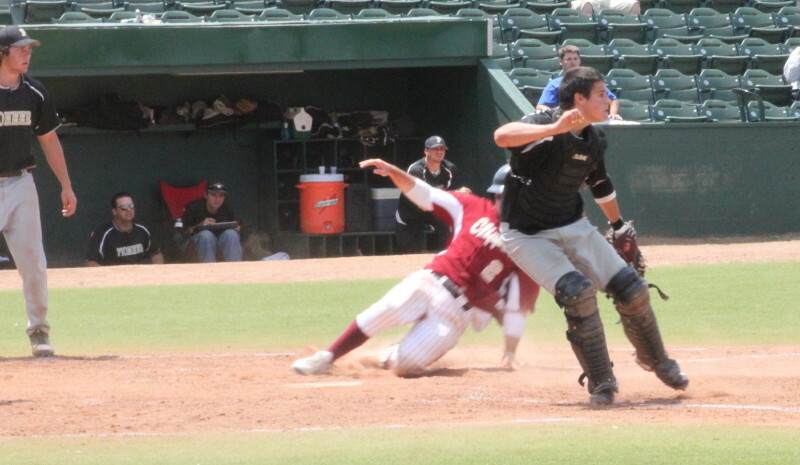 They ended up with eleven hits but it was their aggressiveness on the base paths that forced Pioneer Valley into, what turned out to be, errors and bad decisions. 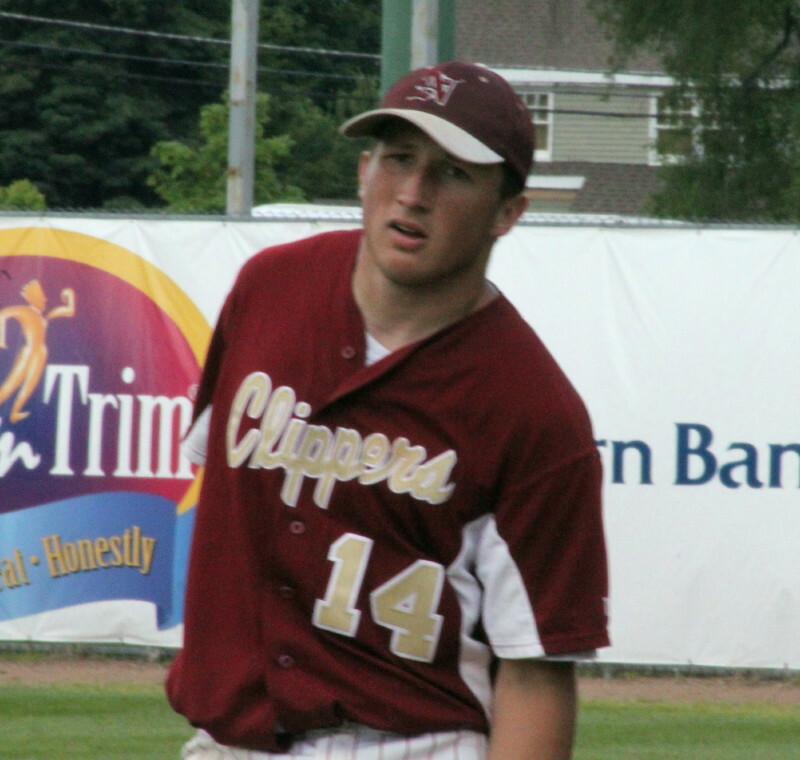 In the second inning, Dave Cusack (part of state champion hockey team in 2009-10) singled to drive in one run but rounded first and drew a throw that allowed a second run to score. 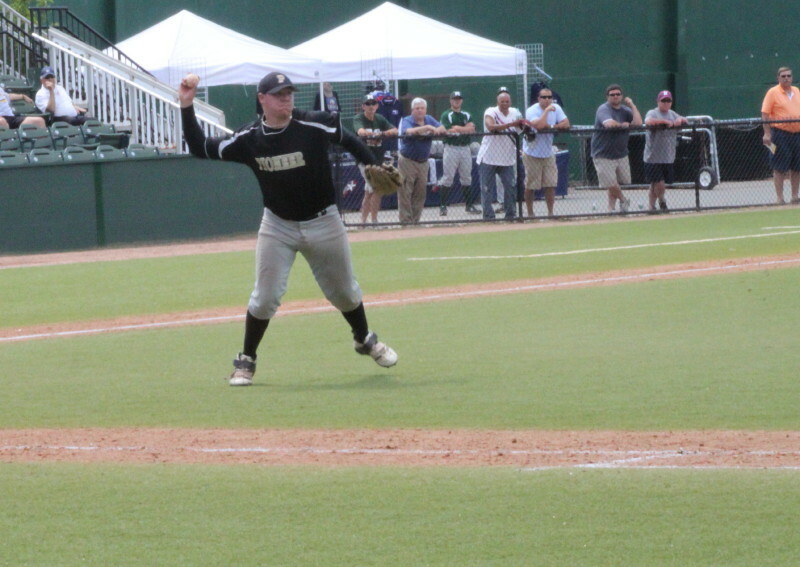 In the third inning, Jimmy Conway hit was looked like a double play ball but hustled to first. 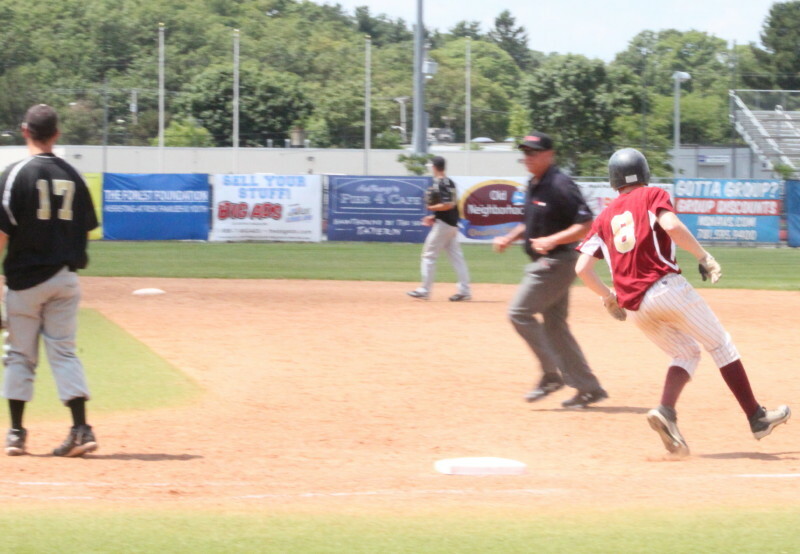 The throw to first was dropped by Joey Larson giving Newburyport an unearned run as Matt Mottola scored from second. Pioneer Valley starter Kyle Platner leads off first after driving in the Panthers first run. 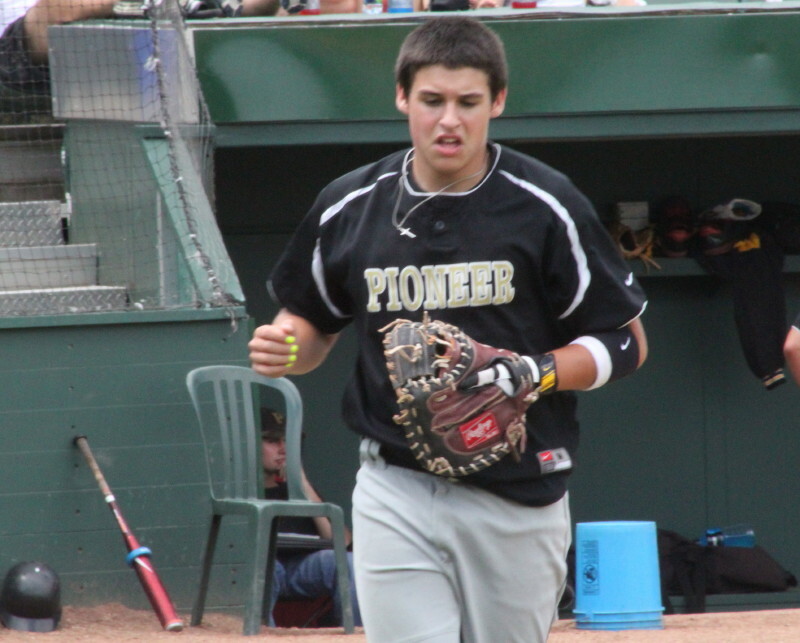 In the fourth inning, more pressure came Pioneer Valley’s way. Sam Barlow led off with a single and Dave Cusack reached on a bunt single. With both base runners in motion, Colby Morris also bunted. 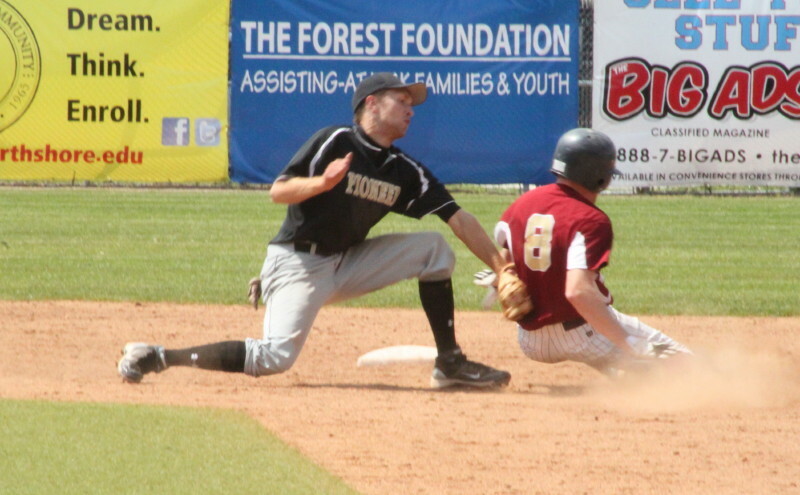 Third baseman Tyler O’Brien made a wild throw to first and two runners scored. There’s three unearned runs in the first five the Clippers scored. Things started well for the Panthers. 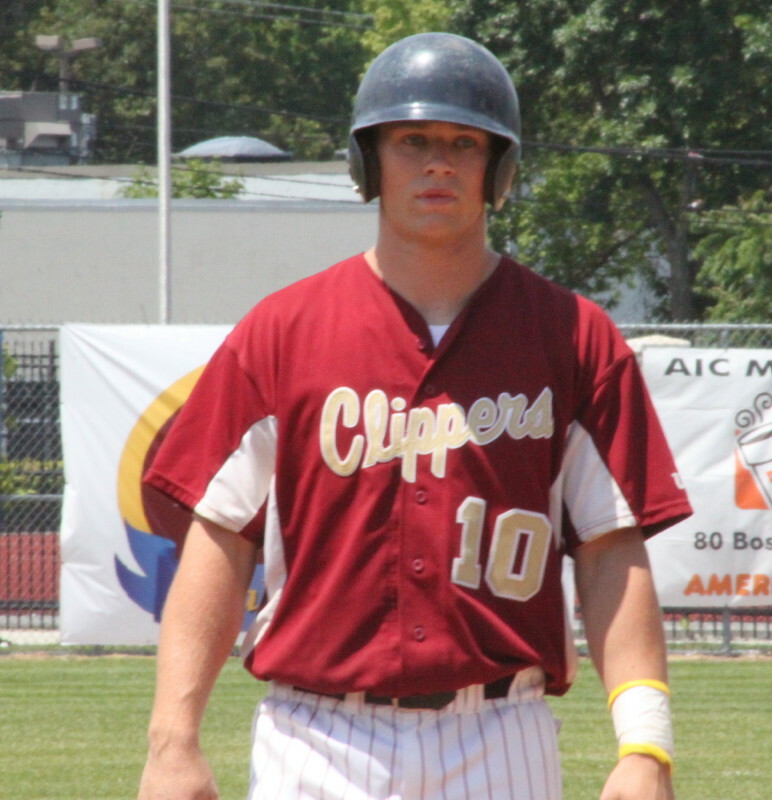 In the first they had a single by Casey Blanchard (2 hits/2 runs/1 RBI). 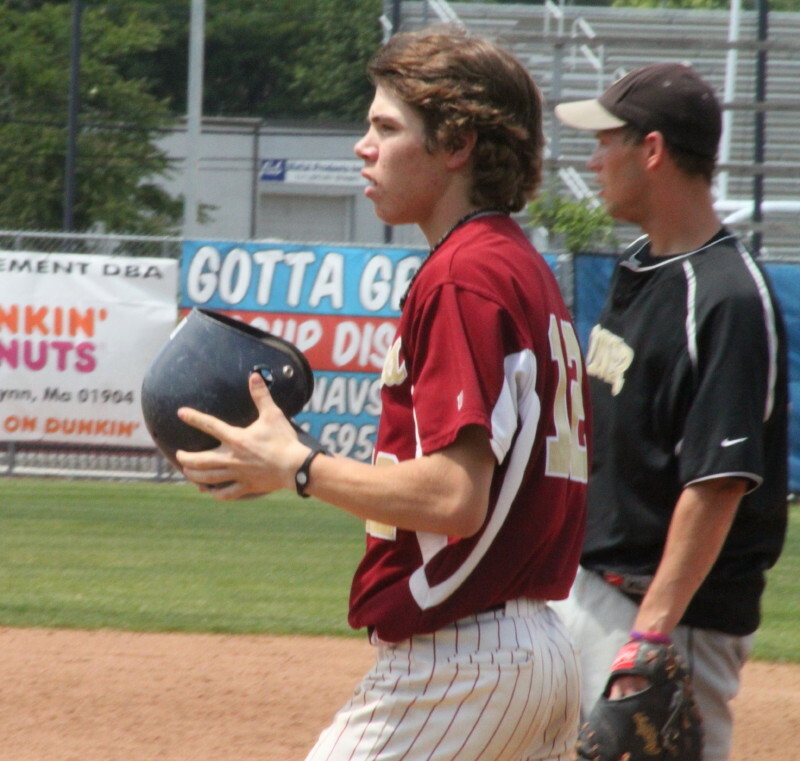 He reached second on the first of Brett Fontaine’s two balks and scored on a single by Panther starter Kyle Platner. 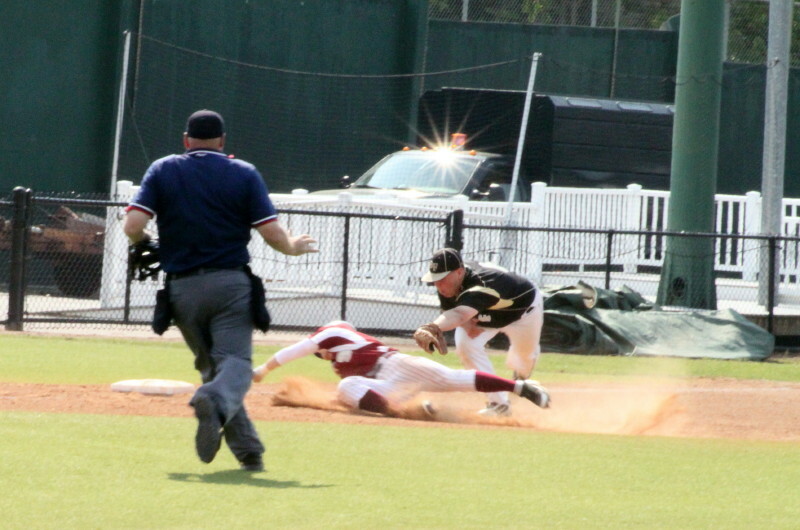 The Clippers took the lead, 2-1, in the second and later 3-1 in the third on the Panthers’ unsuccessful double play. 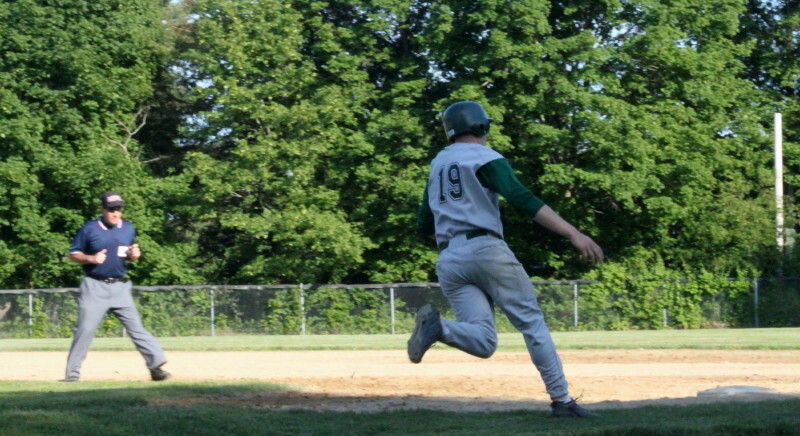 Tom Malooly scores on a passed ball in the 4th. 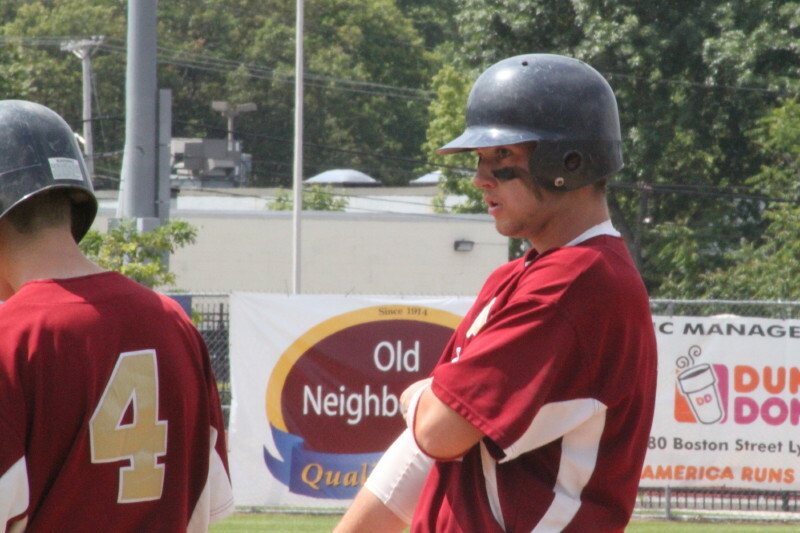 Things got a bit ugly for Newburyport in the fourth inning. 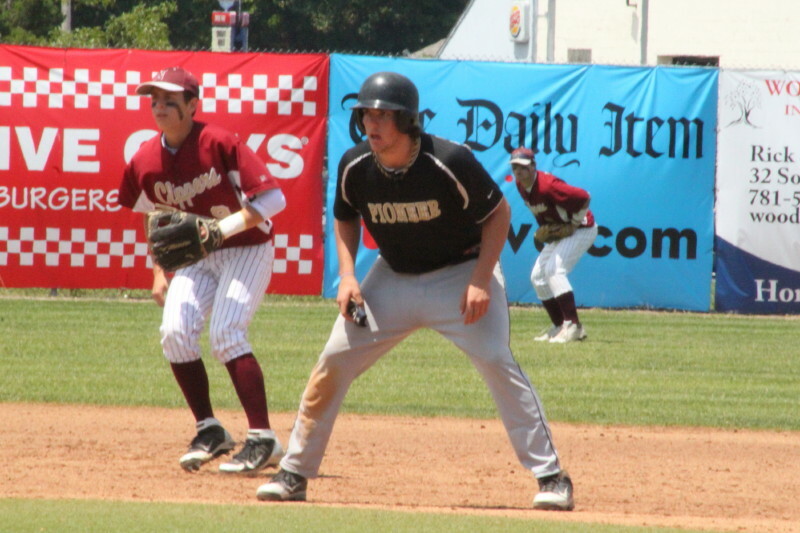 A single (Tom Malooly), a passed ball (Connor Wile), a fielder’s choice, and another passed ball, gave Pioneer Valley its second run. The Clippers responded with four in their fourth to boost the lead to, 7-2. 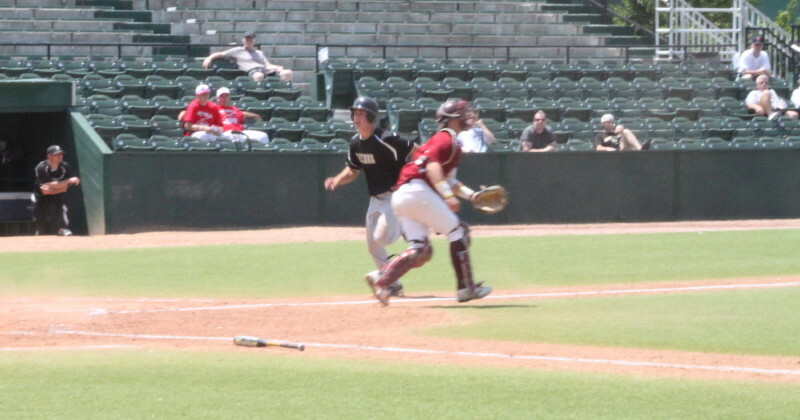 The mishandled bunt I mentioned before was followed by a Matt Mottola triple to deep center which drove in the third run (Colby Morris) of the inning. 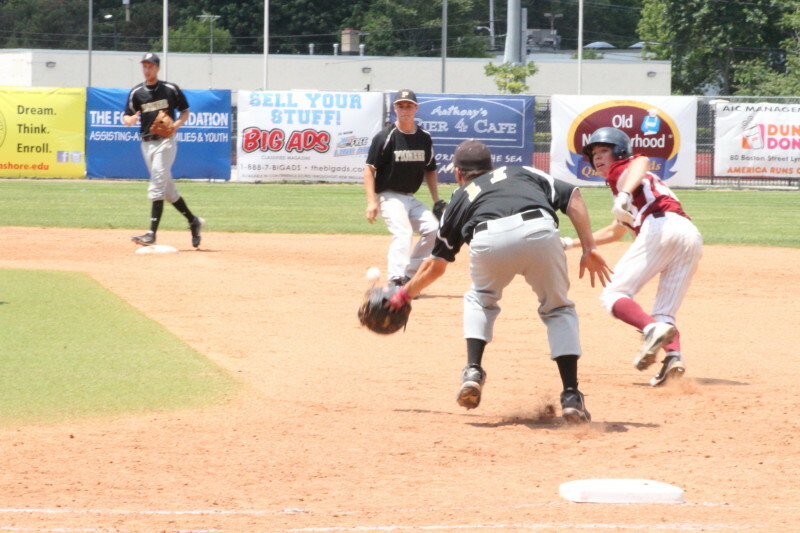 Brett Fontaine’s infield grounder delivered Matt Mottola with the fourth run. Now down 7-2, the Panthers picked up two in the top of the fifth. Jordan Stempel singled and reached 3B on a passed ball. 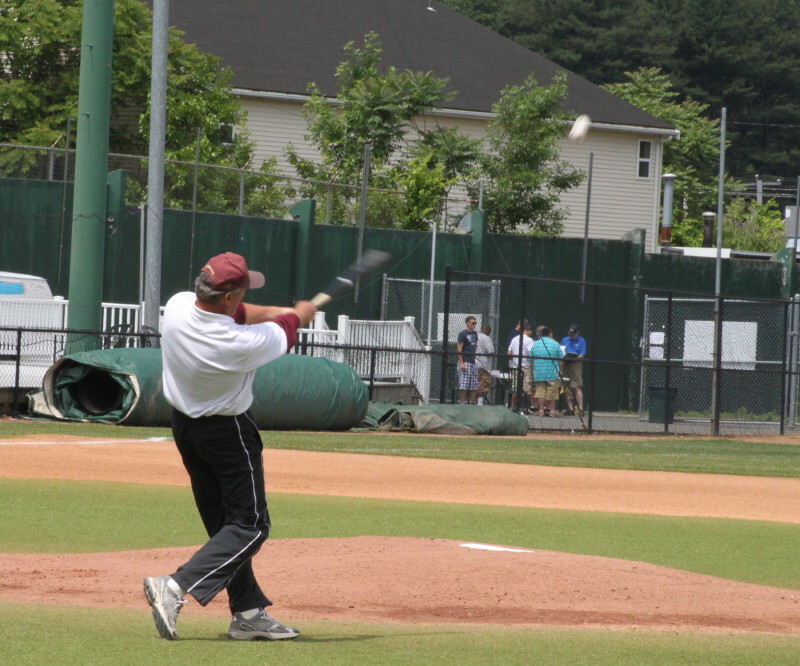 Casey Blanchard’s triple to right center drove in Jordan. 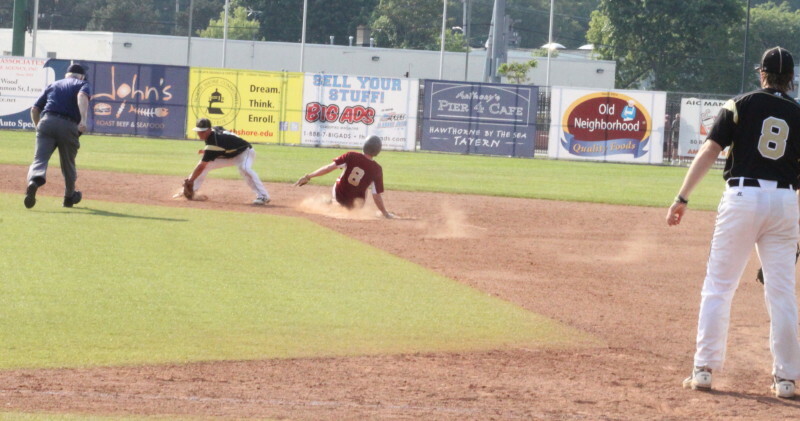 An infield grounder by Kyle Platner brought in Casey. 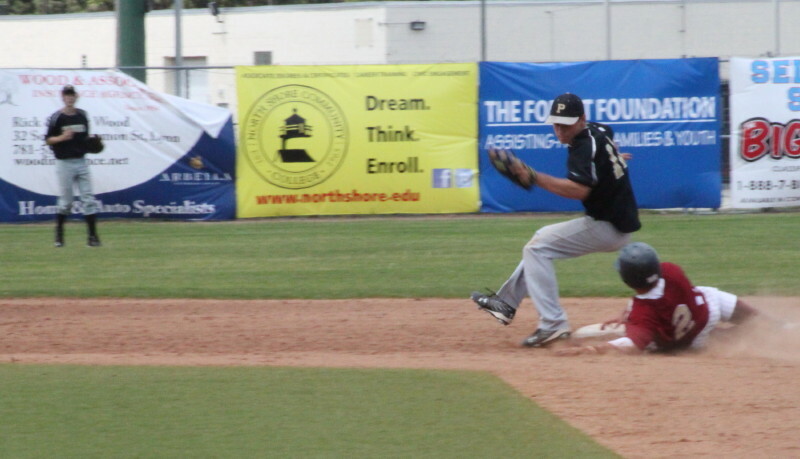 Matt Mottola sails home in the third inning. But that would be the last of the runs for Pioneer Valley. They seriously threatened in the next inning (sixth) but ended with the bases loaded. The Clippers put up the “breathe easier” two runs in the sixth inning. Two walks (Colby Morris and Matt Mottola) off Panther reliever Cory Serviss set the stage for a Brett Fontaine single to left. 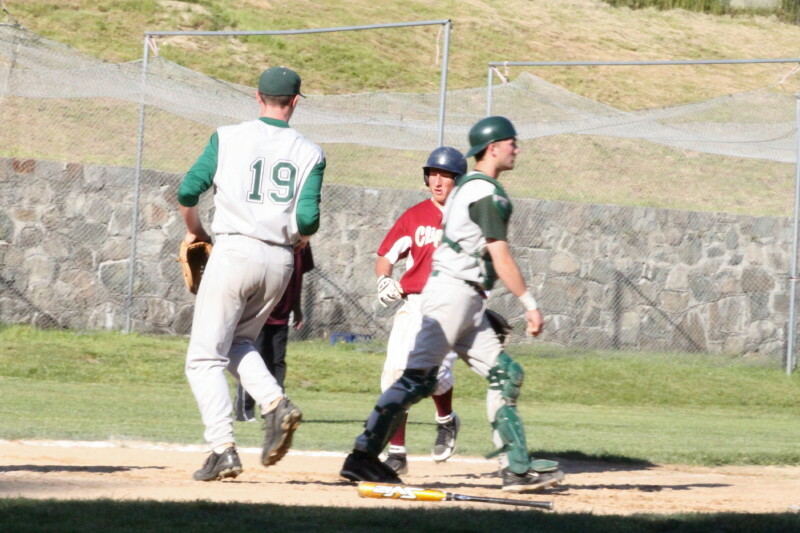 Colby scored on that single and Matt reached home when Jimmy Conway singled as well. Pioneer Valley left Northfield at 8:15AM and arrived at least 1 ½ hours before game time. 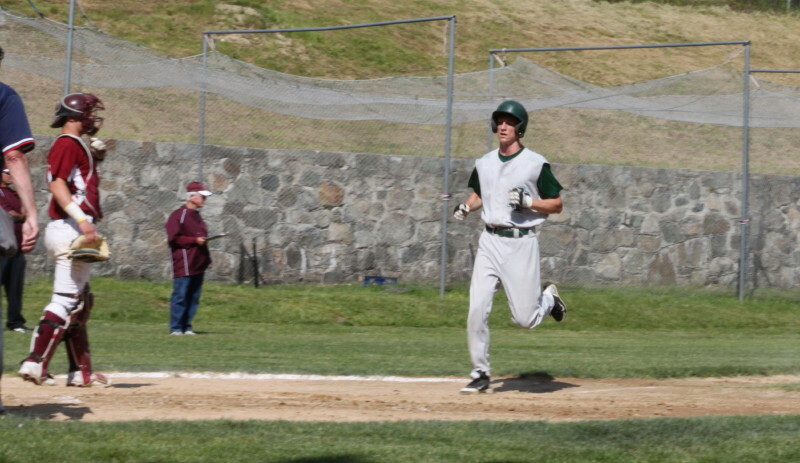 Dave Cusack in rundown in second inning that led to a run. That “game time” thing will be a memory from this contest. The game was supposed to start at noon. Everyone was in place at noon except the umpires. You and I have been to less important games and not had officials show up but this was the state finals! 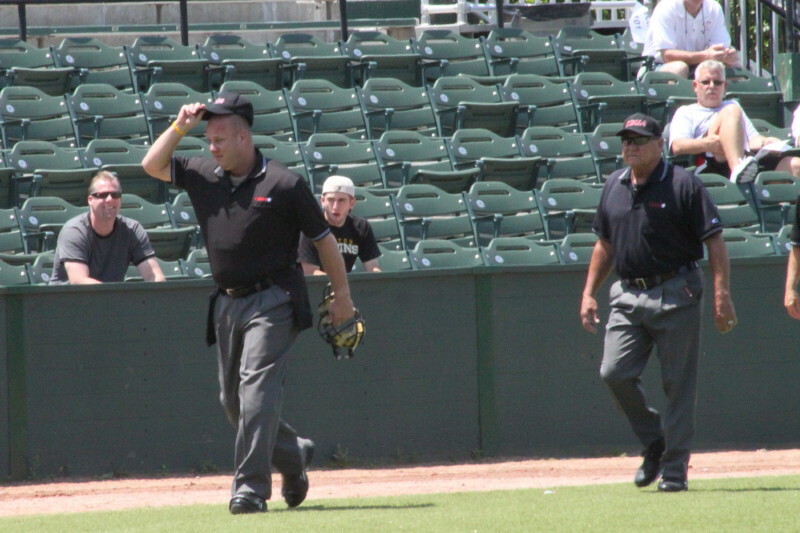 Three umpires made an appearance eventually and the game started at 12:40. 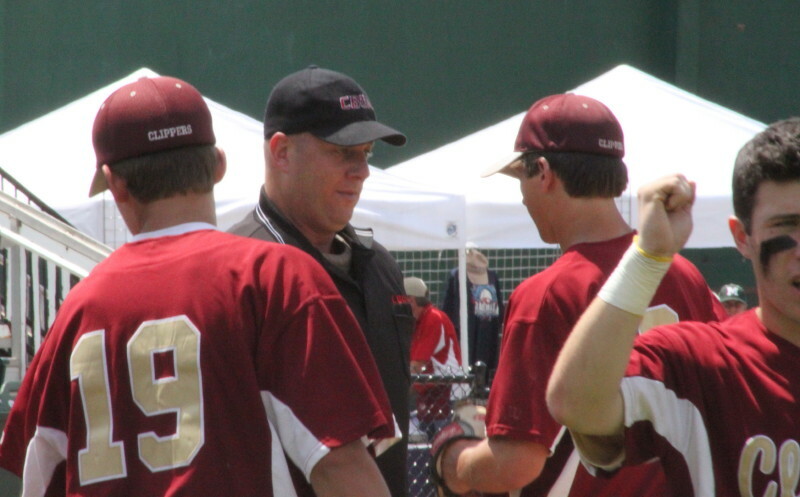 I asked an MIAA official afterwards about the umpire situation. He said that he had no idea where the scheduled umpires were. Could they have gone to the Lowell Spinners park?? He told me that there was an umpire on hand who was working for the MIAA in a different assignment at Fraser so they enlisted him. 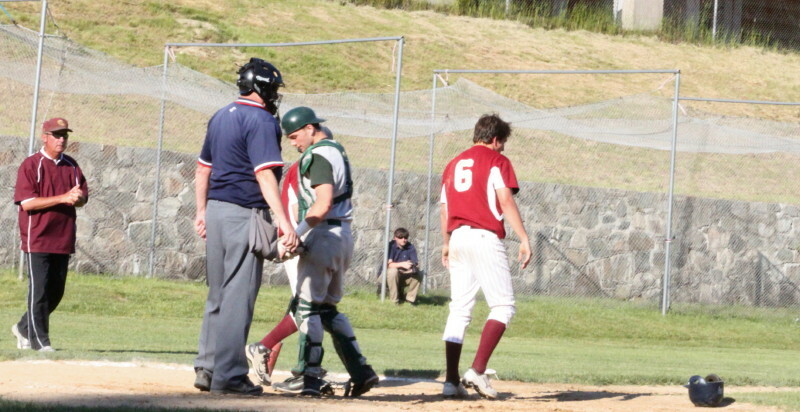 Then they made a call to Swampscott and got a father/son team to ump. 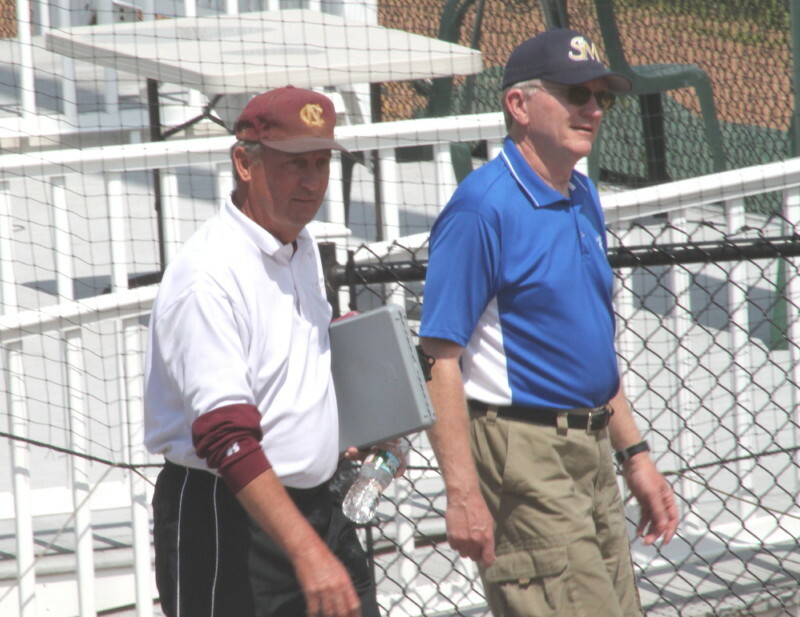 The father/son team were college umpires. 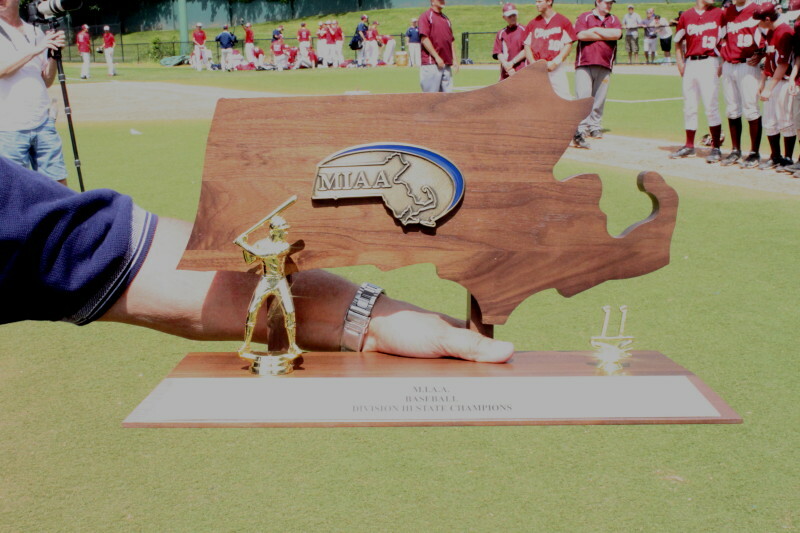 The MIAA rep said they (the MIAA) were lucky that these guys were home. The umps got a derisive cheer when they arrived but they deserved a warm welcome for filling in on short notice. The weather was great. Plenty of sun and a nice breeze. 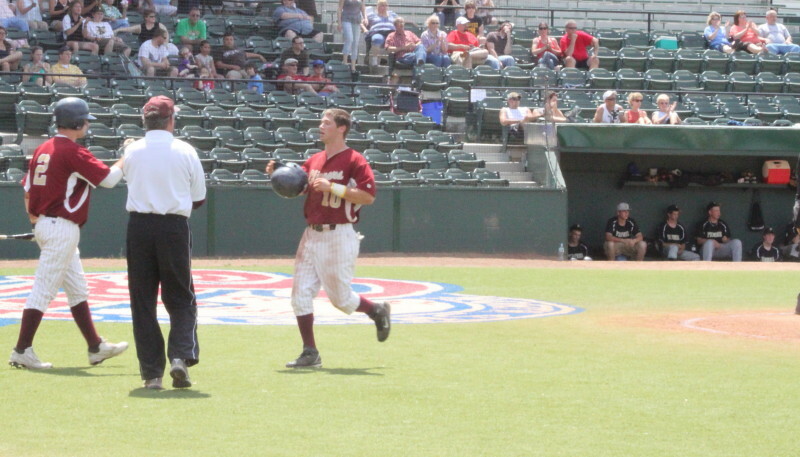 Matt Mottola was two-for-two, scored three runs, and had an RBI. Ryan O’Connor warmed up in the bottom of the sixth just in case. An important part in the Clipper victory was the fact that they played the North final last Saturday after that big rain delay. The other sections (South/Central/West) postponed their finals and had to scramble to make up the games. 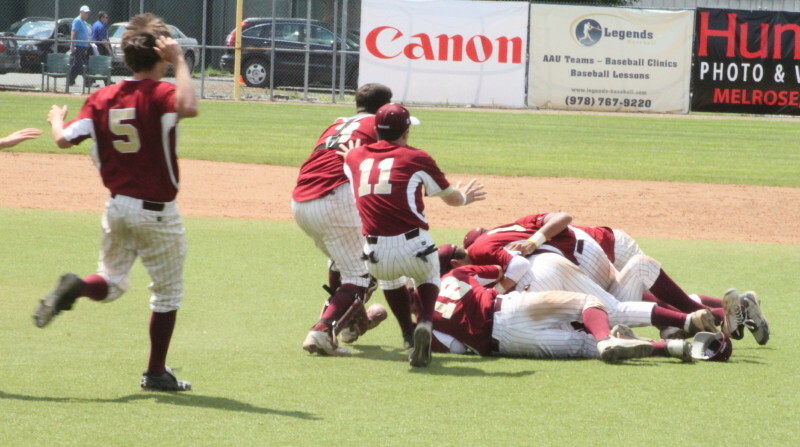 Newburyport was thus able to have its two superb pitchers (Ryan O’Connor and Brett Fontaine) pitch the state semifinal and state final on normal rest. Pioneer Valley wasn’t able to do that. The pictures below are thumbnail size but if you click on them they become normal size. I do not take pictures for a living and will send (via email) any that I’ve taken for no charge. Send me an email if you’re interested. Coach Pettingell checks with Ryan O’Connor in 6th. Casey Blanchard scores first Panther run. 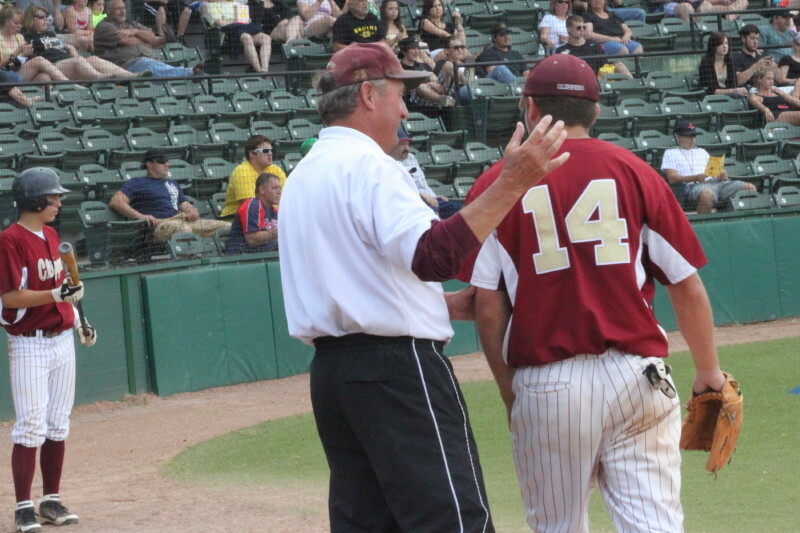 Umpire explains balk to Brett Fontaine. Matt Mottola triples in the 4th. 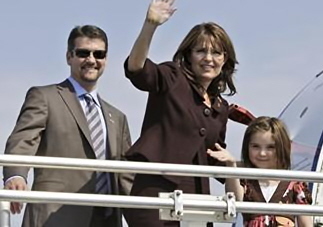 Sarah Palin took a "ride" with Paul Revere. Barack Obama campaigned in states that didn't exist. But that was what she said, and The Newburyport Current joined those piling on in their June 10th edition via cartoon and article (“Don’t tread on us” – Dan Mac Alpine). Is Mr. Mac Alpine saying that there are experts in our midst ready to supply us with the important information we need because we’re too lazy and incapable of getting it accurately on our own? How arrogant is that! These days the internet and its numerous search engines make information gathering easy. We can hear people making the actual statements we judge them on. A journalist just interprets what they gather and so can we. In my opinion, many folks mocking Sarah Palin, made the mistake of relying on Henry Wadsworth Longfellow’s “Paul Revere’s Ride,” for their history of what happened. Longfellow was not an eyewitness to the 1775 event, in fact, he wasn’t born until 1807. He also didn’t write the poem until 1860. His point of writing it was to rally Americans to take action against slavery as they had against the British. Longfellow was a widely recognized poet in the United States and his works were read by people such as Abraham Lincoln and Queen Victoria. In our area, the hardly-known Paul Revere became well-known because of “Paul Revere’s Ride,” and the town of North Chelsea changed its name to “Revere,” in 1871. “Paul Revere’s Ride,” is not accurate. Two of the better know lines in the poem aren’t true. The water option was the Charles River, not a sea, but river wouldn’t rhyme. Also, Revere was in Boston not on the opposite shore when the signal was given. In another part of his article, Mr. Mac Alpine rejected Sarah’s reference to Revere trying to warn folks so that the British wouldn’t take away their weapons. The facts are that Revere and several others went to Lexington to tell John Hancock and Samuel Adams to take off. Going on to Concord was to get stored military supplies moved elsewhere. The locals had gunpowder stored in common places. The British realized if they controlled the gunpowder then they could limit the amount of resistance they would face. In this way, the British troops would be taking away the guns of those they would confront. Another point of contention was the many instances where people in the Boston area warned each other of British soldiers being nearby. They did ring bells and sometimes they fired warning shots. It is interesting that in Paul Revere’s obituary in 1818, there is no mention of any ride he took. Credit Longfellow for elevating Revere to legend status as he had done to others in poems he wrote. Let’s change “biology,” to “geography,” and revisit a quote by candidate Barack Obama on May 9, 2008 in Beaverton, Oregon. My granddaughter learned the states and their capitals in fourth grade! Is this where I can use Mr. Mac Alpine’s, “at least get a children’s-coloring-book grasp of,” in this case, geography, in reference to the President? He made a similar mocking reference to Sarah Palin and US history. Based on candidate Obama’s comment about states he had visited, I doubt that we’d want to hear him talk, away from a teleprompter, about Paul Revere unless we were looking for a cartoon idea or wanted to ridicule him. 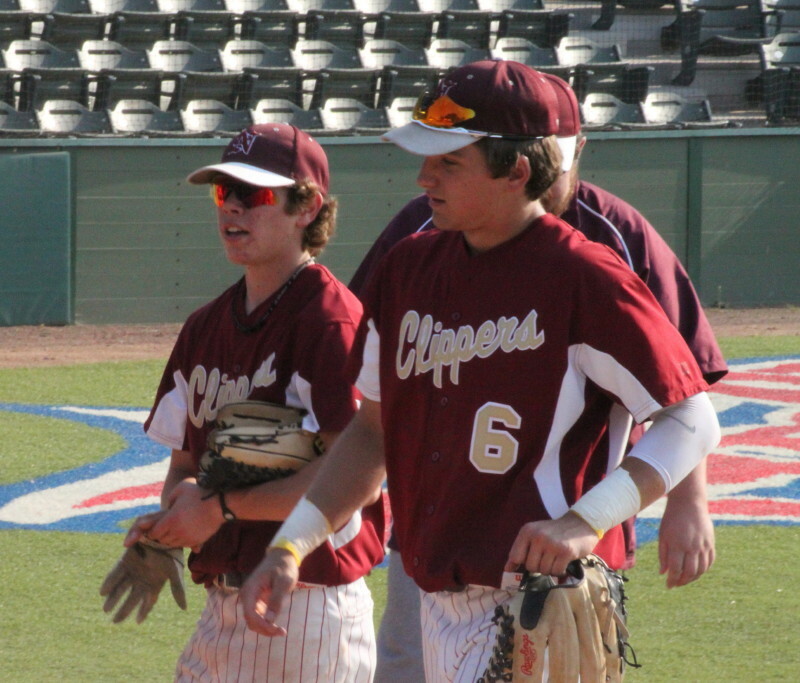 Sam Wahlgren get congrats from JV teammate Casey Barlow at game’s end after Sam delivered a key hit in the final inning. 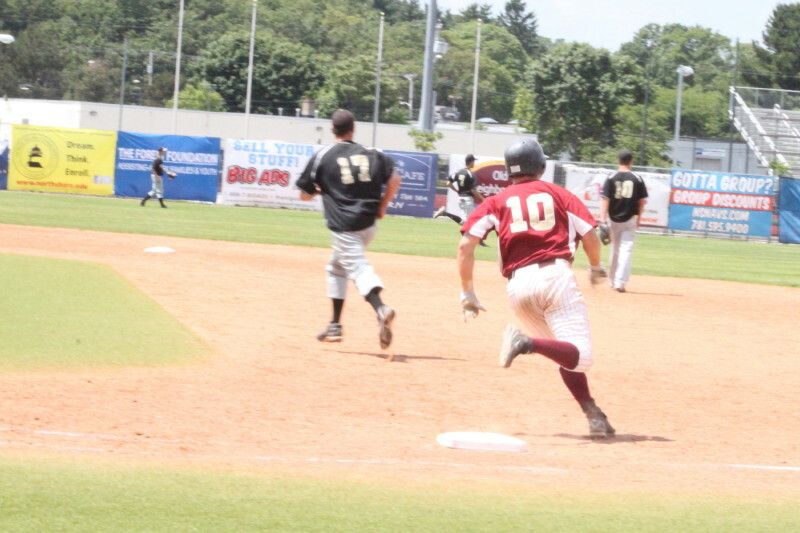 Taylor Summit heads home with the game-winner in the bottom of the seventh. 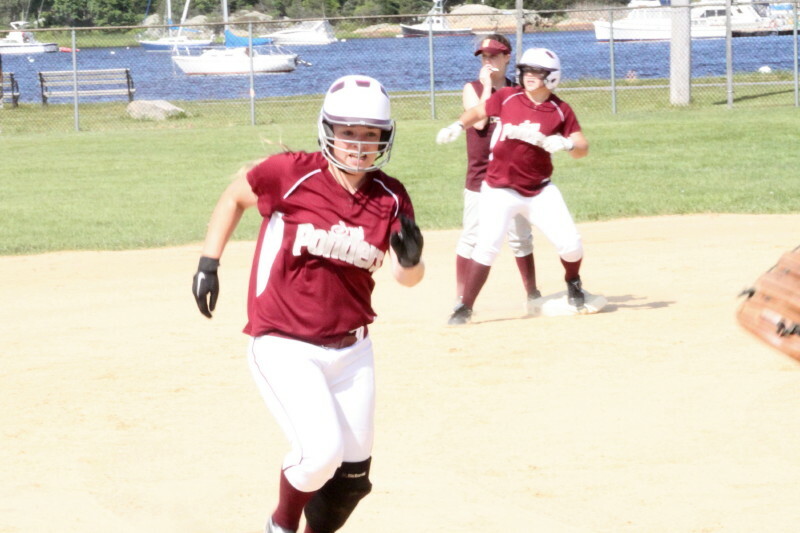 (Newburyport) Plenty of excitement at Cashman Park on Saturday afternoon as Newburyport defeated Arlington, 6-5, in the first round of Division 2 North softball. There were five lead changes and the Clippers (17-4) entered their last at-bats trailing, 5-3, after the Spy Ponders (there is a pond in Arlington called Spy Pond!) had grabbed the lead with three runs in the top of the 7th. Lea Tomasz led the final inning with a single to right. 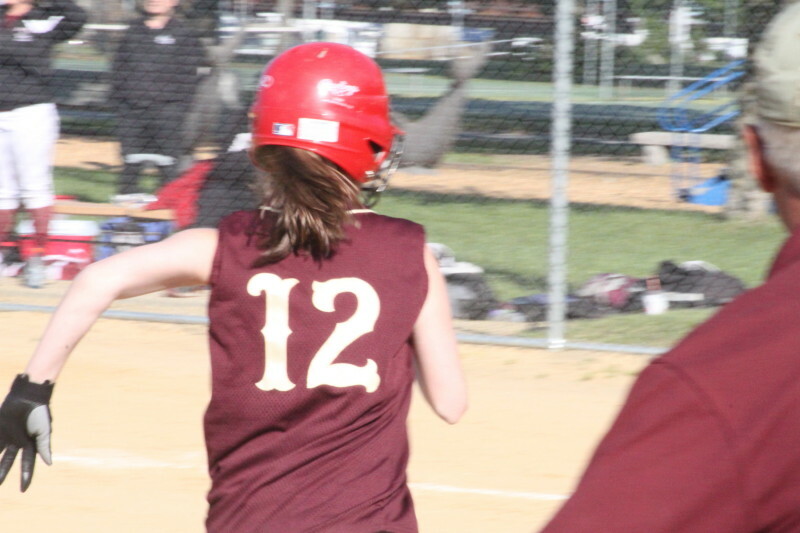 She reached second on a fielder’s choice and third on a passed ball. 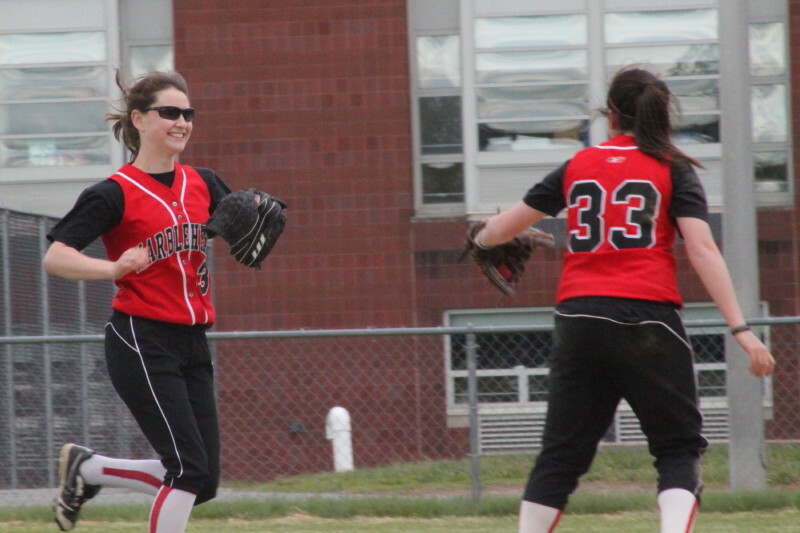 Rachel Webster earned a 2-strike walk on a pitch that went past the Arlington catcher. 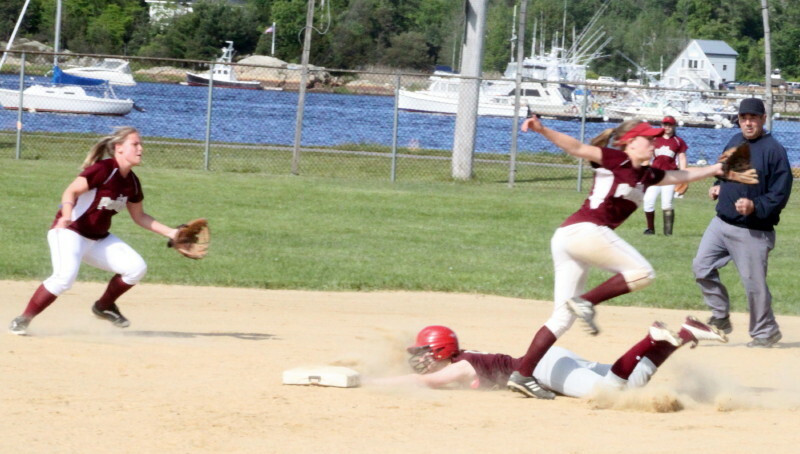 Lea scored Newburyport’s 4th run on that wild pitch. 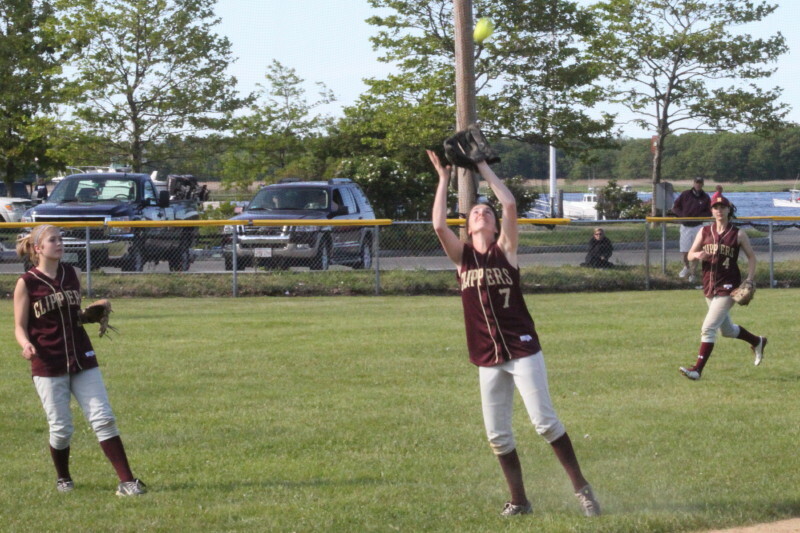 Kendra Dow reached on a fielder’s choice but the Clippers were down to their last out. The Clippers, in fact, got down to their last strike with their next batter (Taylor Summit) before she singled to center sending Kendra to 3B with two outs. Still with two outs, junior varsity call-up Sam Wahlgren drilled a shot to left easily scoring Kendra from third with the tying run. 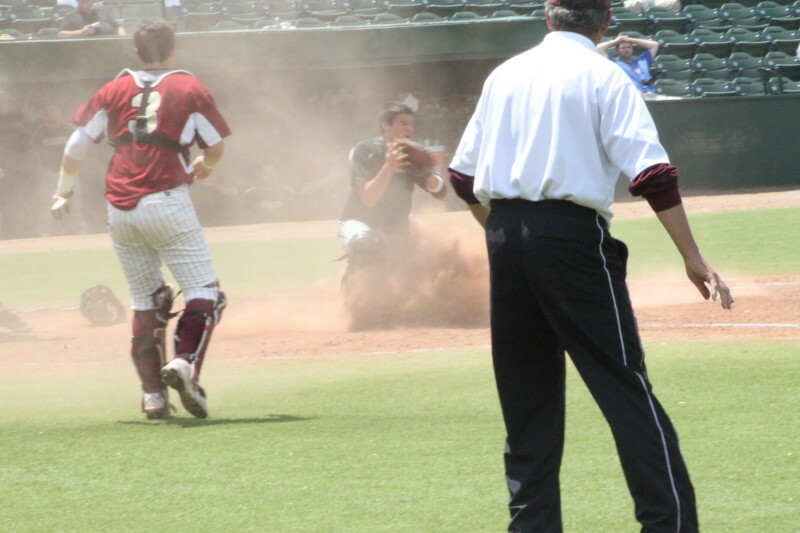 The other runner on the bases, (Taylor Summit) was off from first on contact with two outs and looked content to pull up at third on Sam’s hit but when Arlington botched the relay Taylor flew home with the game winner and scored standing up. 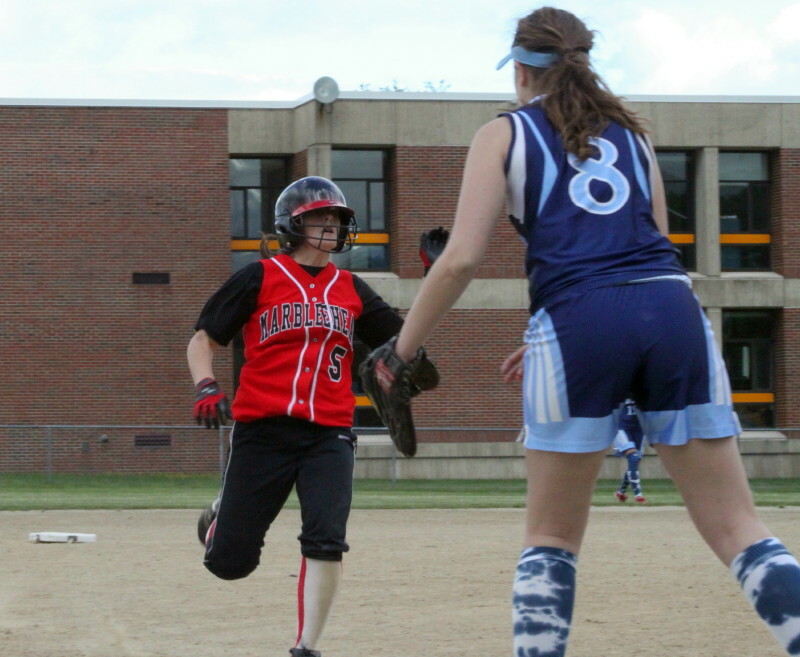 Kaleigh Tomaszewski reaches third on Courtney Sacca’s double in the second inning. This was a game with plenty of hitting (each team had ten hits) and plenty of opportunities to score (runners were stranded by both teams in every inning). 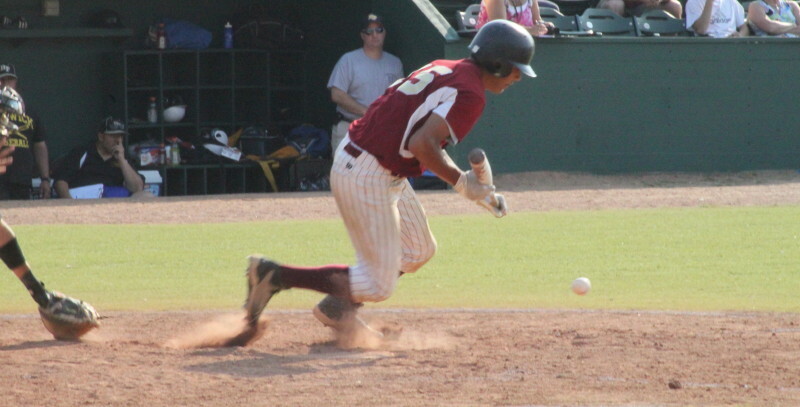 Arlington (12-9) picked up three runs in the top of the seventh on five hits. 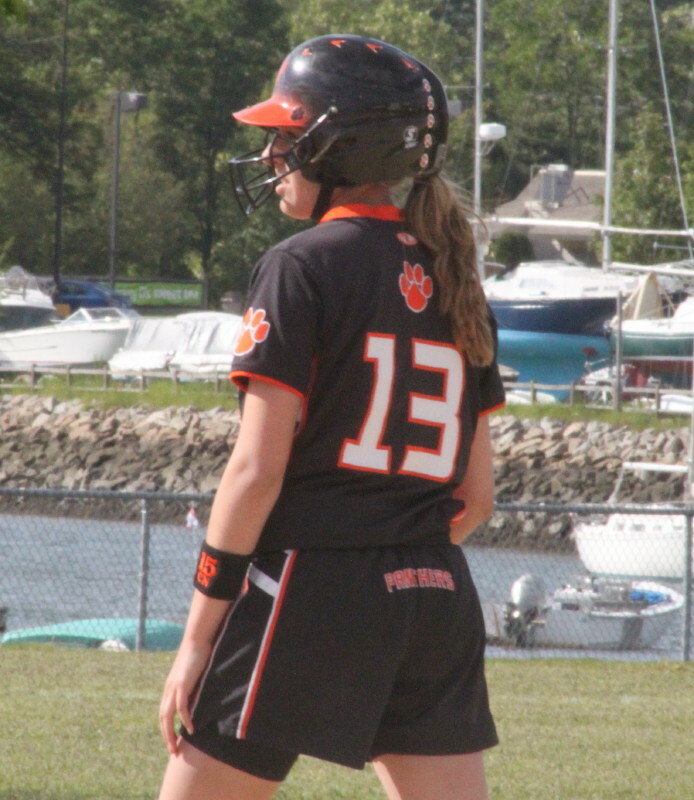 A key piece of strategy was when NHS coach Peter Murray’s opted to walk the very dangerous Courtney Sacca (two doubles) to load the bases with two outs. 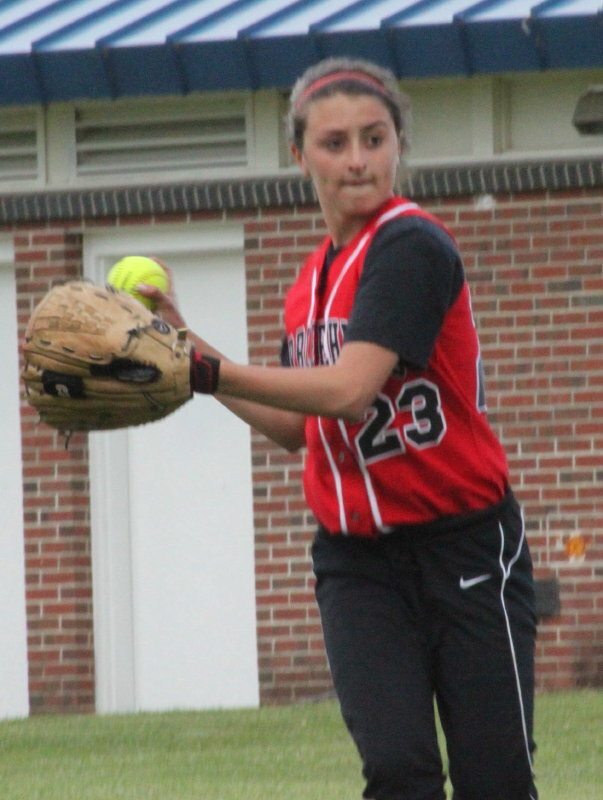 Pitcher Beth Castantini got the next batter (Kayleen McLaughlin) to pop to second to limit Arlington to three runs and a 2-run (5-3) advantage. Another piece of strategy that also worked was Coach Murray’s willingness to use the sophomore from the JV’s (Sam Wahlgren) in the last two innings. 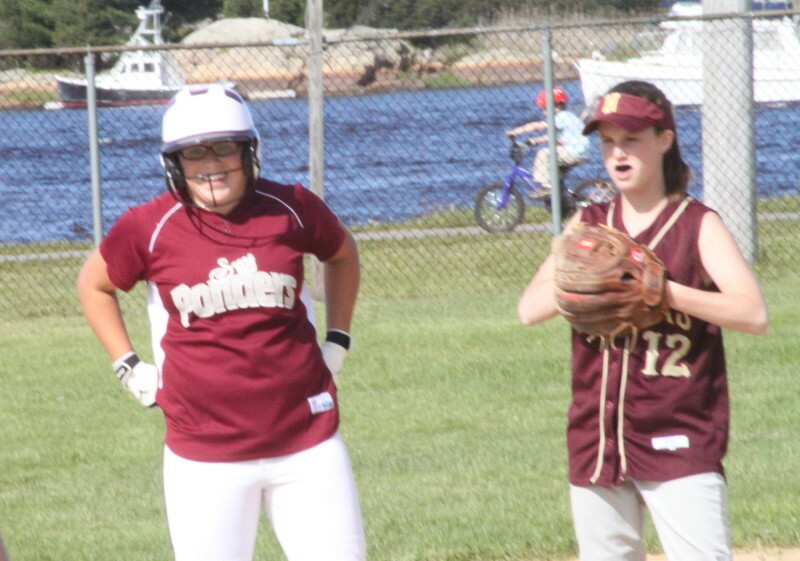 She delivered hits in both innings and had plenty to do with extending Newburyport’s season into Monday when they will travel to play #4 seed Reading (18-3) in the D2 North quarter finals. The MIAA site currently has game-time listed at 3:45 AM! I suspect that time will be changed. Kayleen McLaughlin out at home in the second. Cassie Davis out at home in the first. 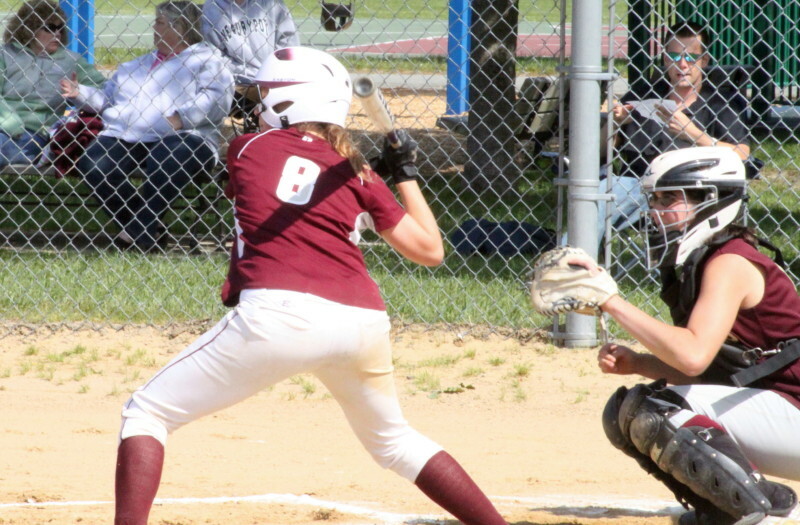 Sophomore leadoff batter Kaitlyn Morse led Arlington hitters with three singles. She also scored a run. 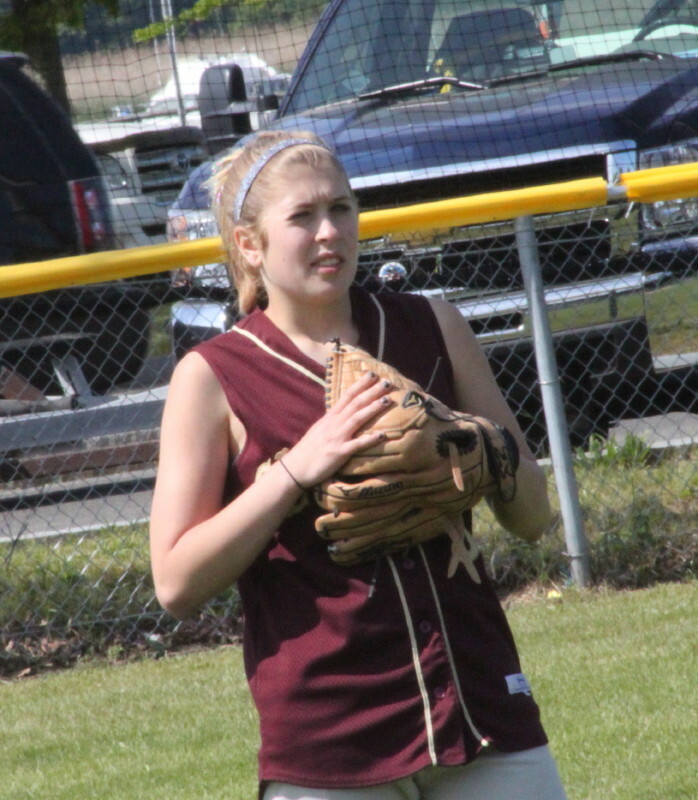 Courtney Sacca had two doubles and also scored a run. 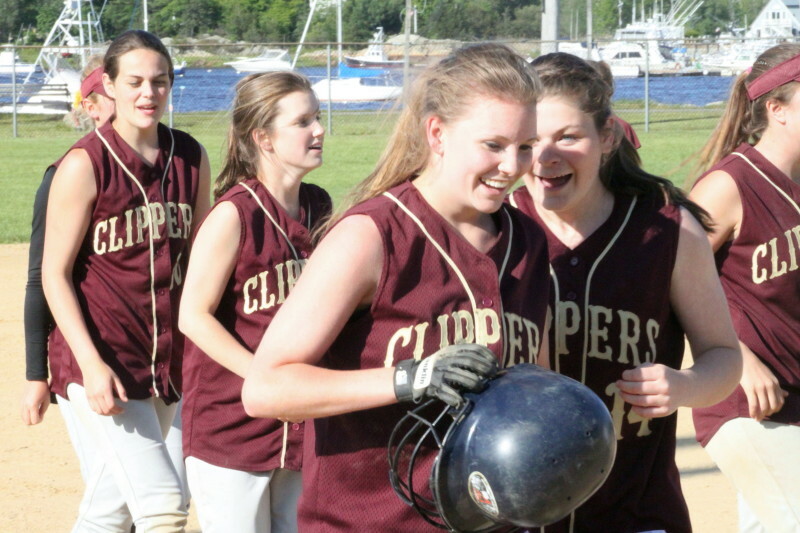 For Newburyport, Lea Tomasz, Taylor Summit, and Sam Wahlgren had two hit’s apiece. Each of them had a key hit in the crucial seventh inning. Lea ended up scoring three times while Taylor reached home twice including the seventh inning game winner. 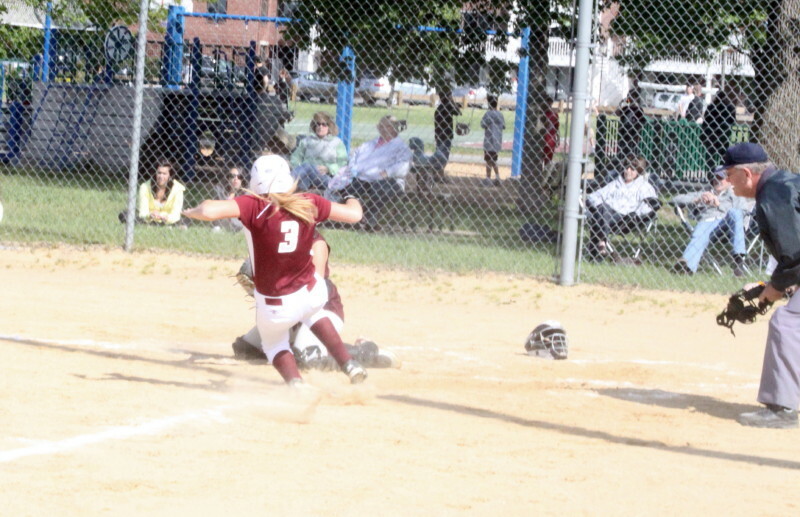 Newburyport opened the scoring in the first as Cassie Davis’ triple to left drove in Maddy Stanton who had singled. Later in the same inning Cassie was thrown out at the plate attempting to score in a delayed fashion after Kendra Dow had bunted. 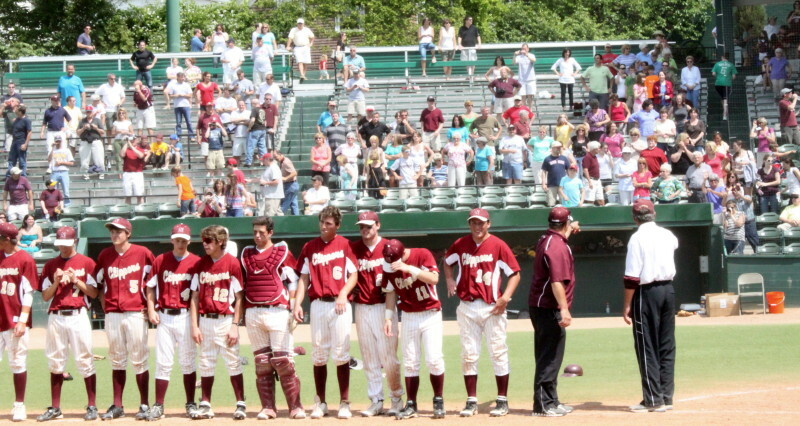 Arlington jumped into the lead in the second inning with two runs, one of them unearned. 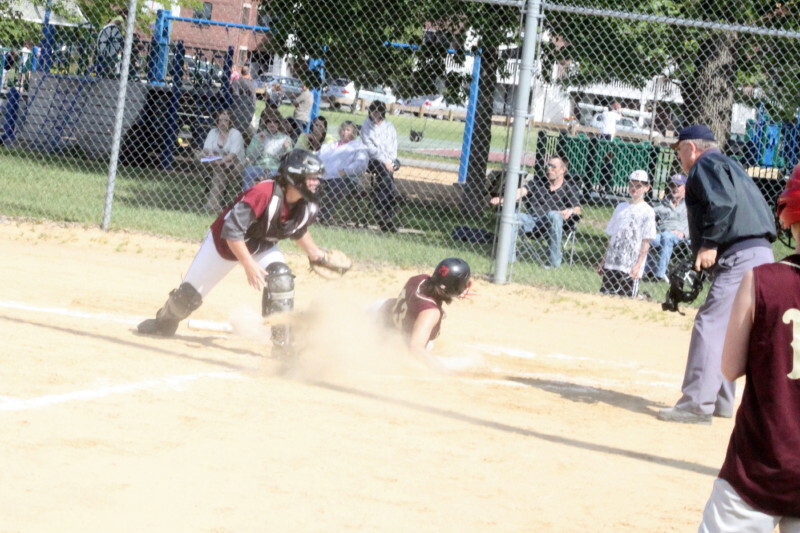 Kaleigh Tomaszewski walked, went to third on Courtney Sacca’s double and scored on Kayleen McLaughlin’s single. Courtney came around to score when Taylor Summit dropped a throw covering first. 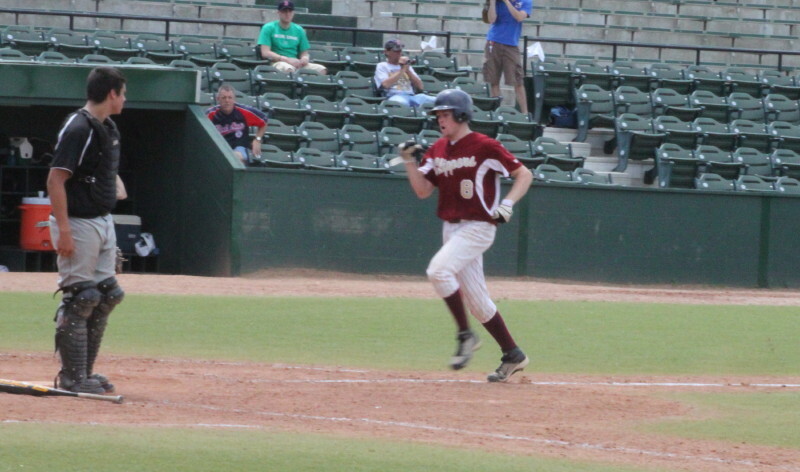 Newburyport tied the score with a single run in the 4th. Taylor Summit singled to center, reached second on a passed ball, and scored on Eleni Kacher’s single on the ground into right field. 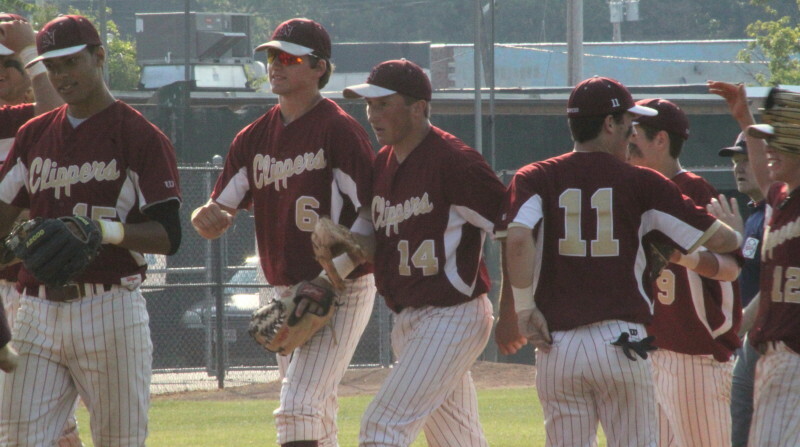 The Clippers pulled ahead (3-2) in the fifth inning with another single run. Lea Tomasz reached on an infield single and advanced to third on two ground outs. Kendra Dow hit a ground single to left to score Lea. 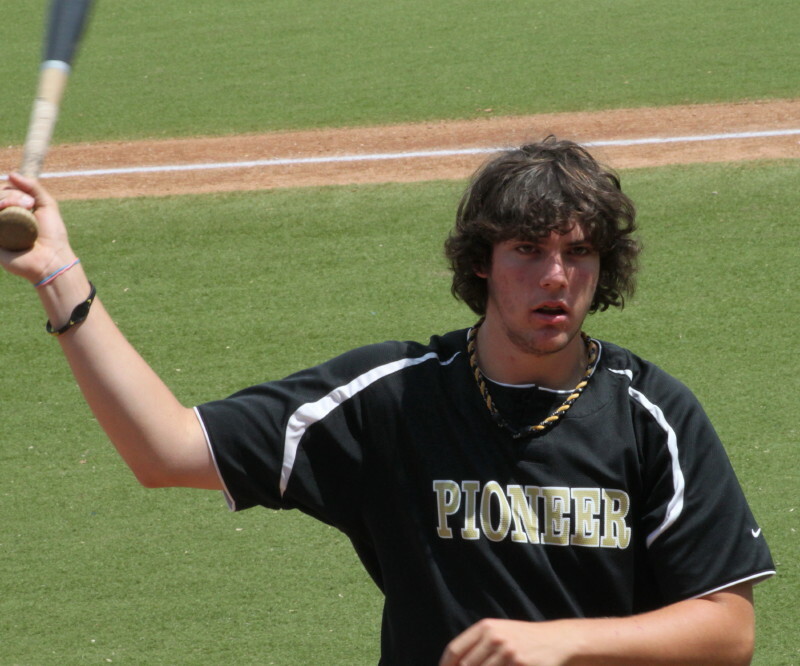 The Ponders collected five hits in a bat-around top of the seventh. 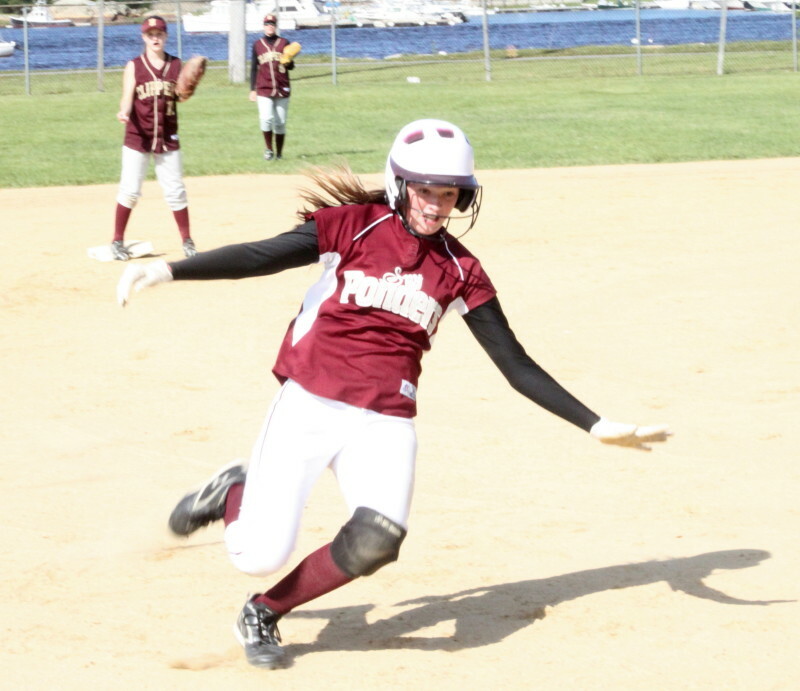 Natalie Tarantino (double), Michelle Reilly (single), and Kaleigh Tomaszewski (single) had the RBI for Arlington. Three runs were scored and the visitors left the bases loaded. 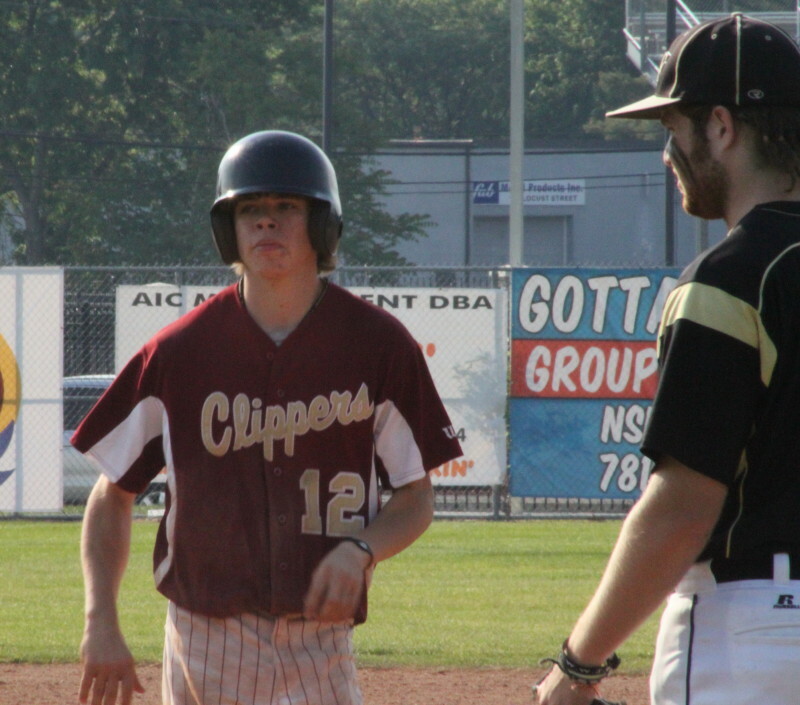 Those runs, and the 2-run lead they gave Arlington, looked to be enough but weren’t as Newburyport rallied in the bottom of the seventh. Eleni Kacher steals second base in the 4th inning. 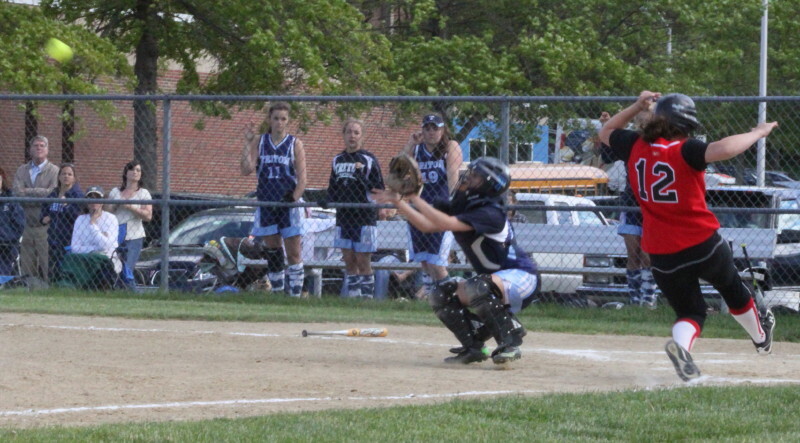 Kayleen McLaughlin was thrown out at the plate to end the second inning. The weather was fabulous – sunny with a light breeze. Certainly not what we’ve been used to over the past two months! Both pitchers (Beth Castantini and Erica County) pitched complete games. 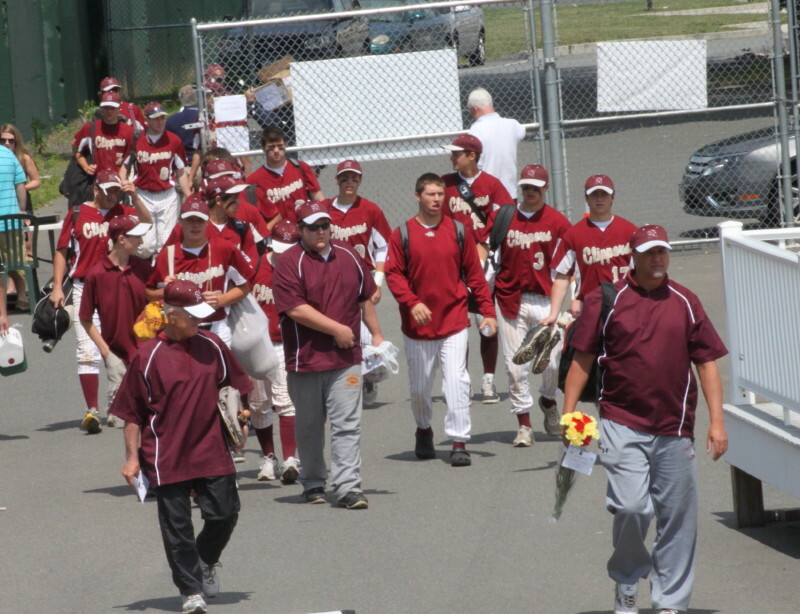 Newburyport AD John Daileanes delivered timely rosters for the good-sized crowd on hand. 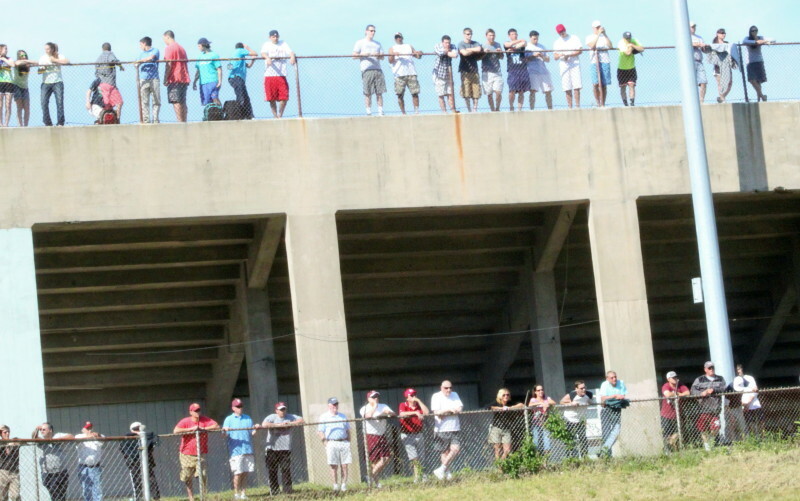 Some potential spectators were probably watching the NHS baseball team in action about the same time at the high school. That roster was especially helpful for identifying Sam Wahlgren. 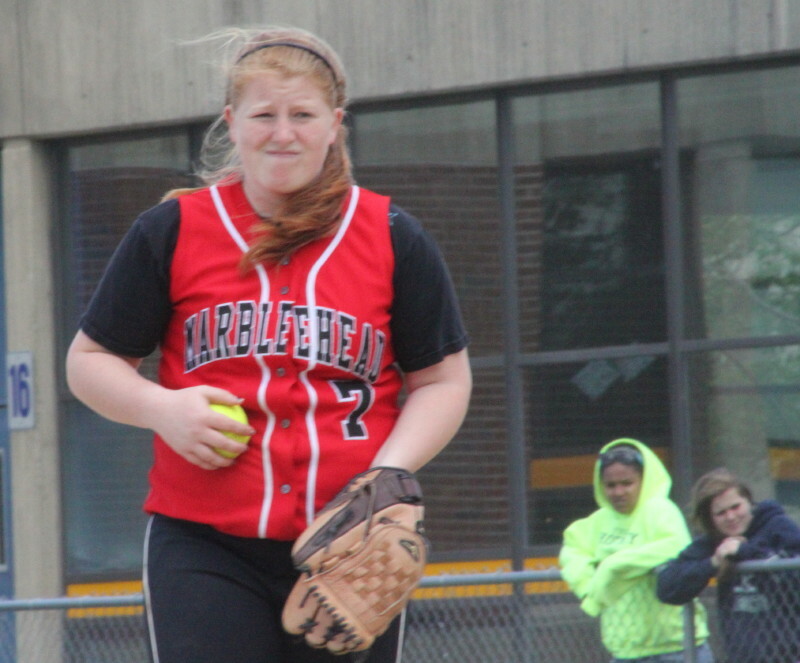 #1 seed Amesbury lost today to Marblehead. 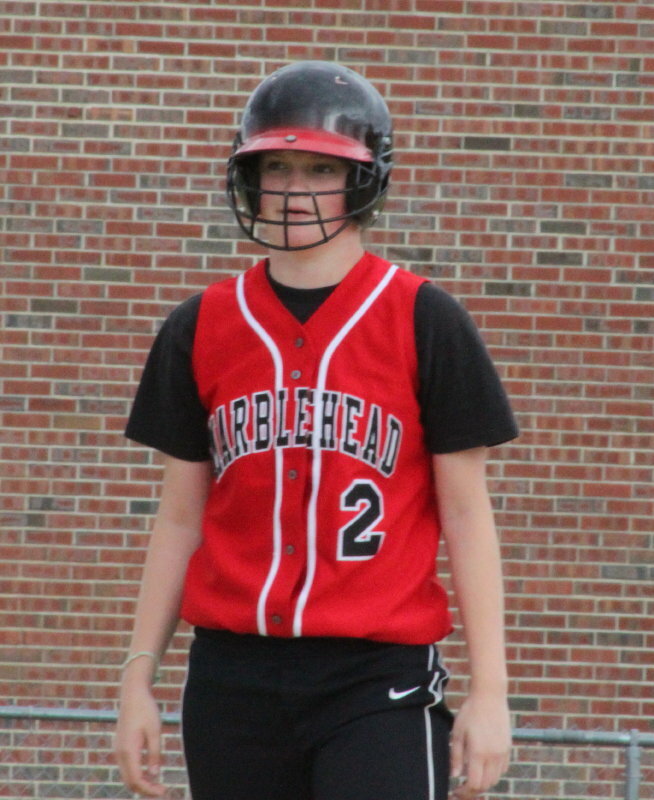 I wasn’t totally surprised by that because I had seen Marblehead defeat Triton on Thursday. 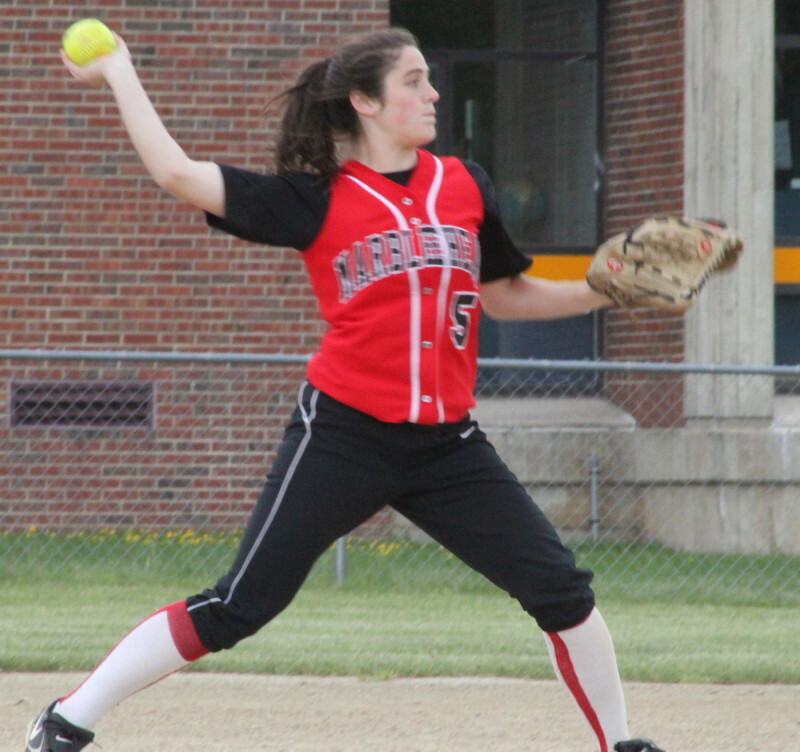 The Magicians didn’t use their top pitcher versus Triton so she was available for Amesbury. Leadoff batter Kaitlyn Morse (reaching third) paced Arlington with three hits. Shortstop Kendra Dow catches a popup to end the sixth inning. Courtney Sacca smiles after fourth inning double. 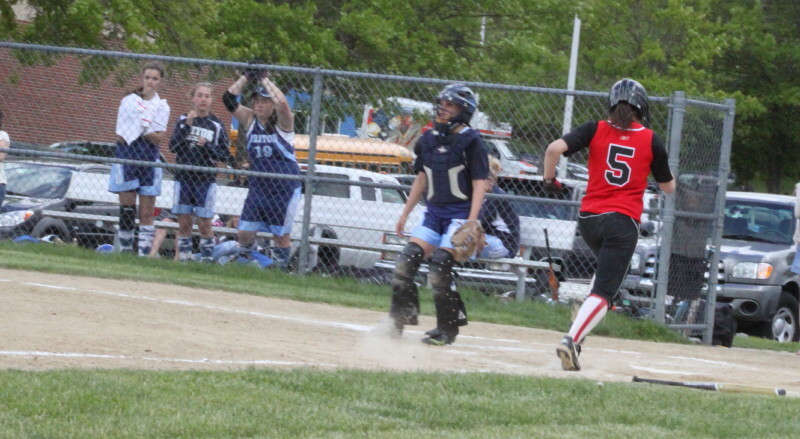 Ashley Chalifour (#4) backs up third and prevents a run in the Andover first. At the bat, Ashley had three hits and drove in three runs. Beverly celebrates victory at dusty Innocenti Park. 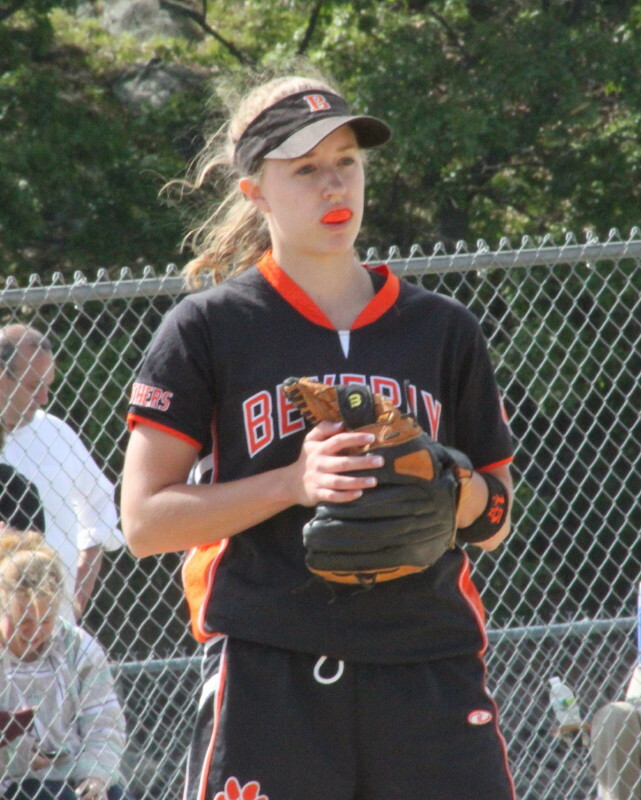 (Beverly) The Beverly Panthers exploded in the fourth and fifth innings and defeated the Andover Warriors, 8-1, in the preliminary round of the Division 1 North softball tournament on Friday afternoon. 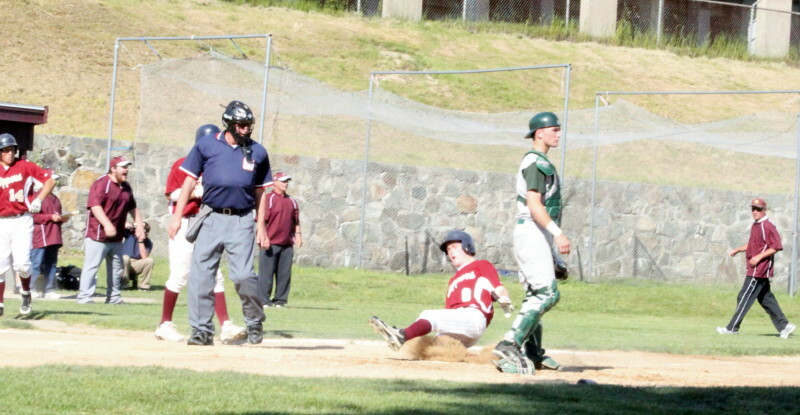 The game was played at dusty Innocenti Field in Beverly on a sunny, breezy afternoon. 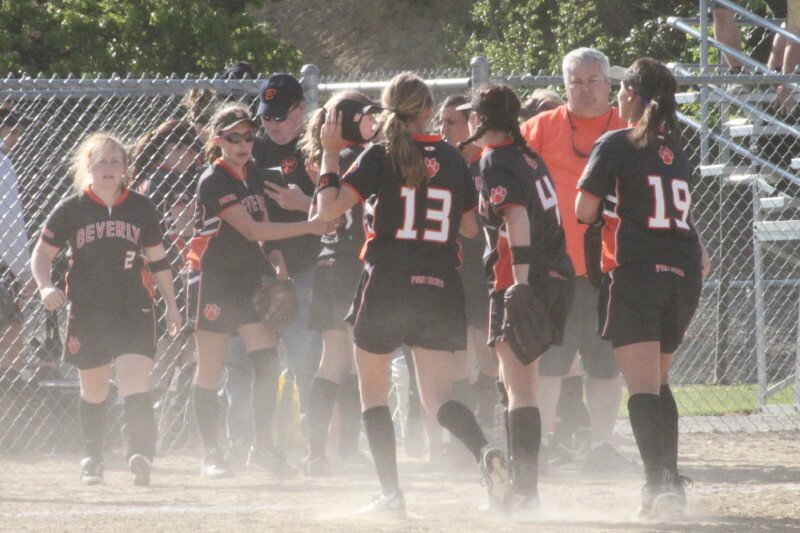 #16 seed Beverly (12-9) advances to the first round with the victory and gets to play #1 seed Chelmsford (19-1) at Chelmsford on Monday afternoon at 3:30 PM. Enough of the potential bad news ahead. The good news for Beverly was the way they played in this game, especially in the 4th and 5th. 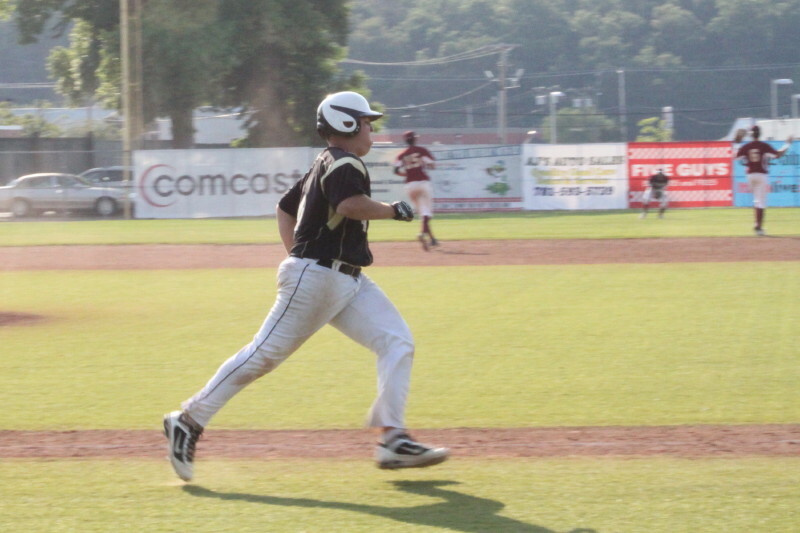 Andover entered the 4th a run up but when those innings were over they trailed, 8-1. 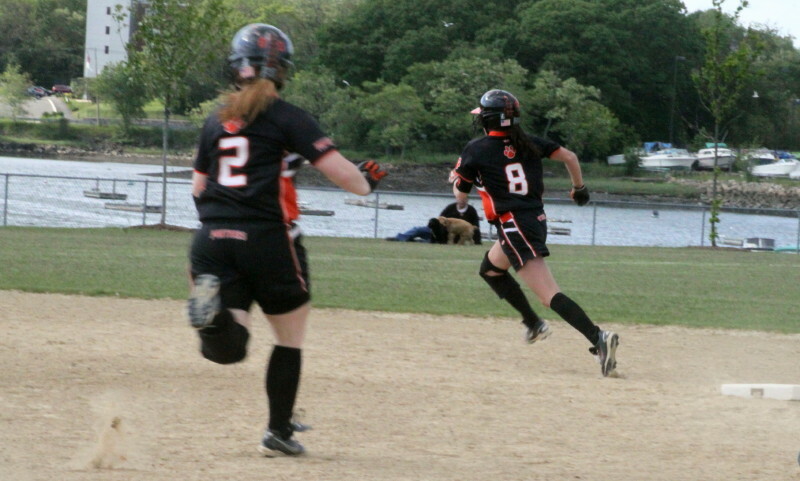 Aimee McKenna (#2) chases Alex Coults (#8) around second in Beverly’s four-run 5th. 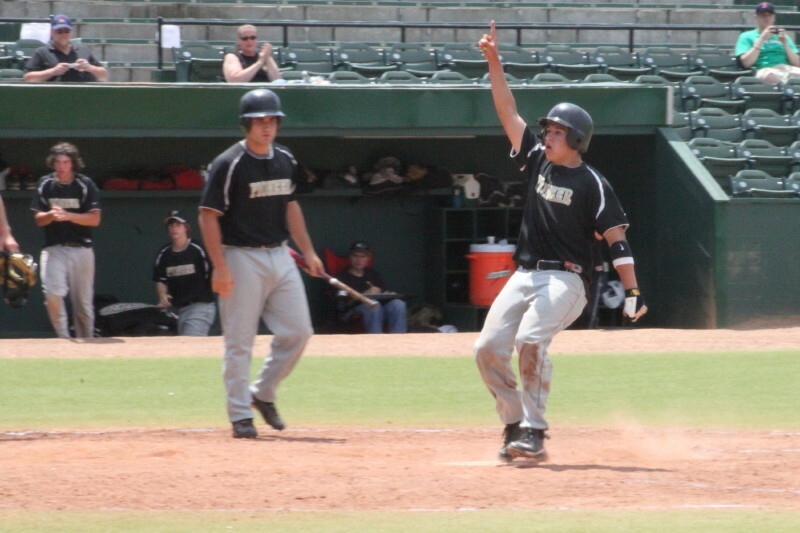 The Panthers batted around in both innings and collected ten hits. They also benefited from two Warrior miscues. The bottom of the Beverly batting order was huge. Kate Silvestri, Natalie Shea, Jen Ashton, and Ashley Chalifour were a combined eight-for-eleven, drove in seven runs, and scored four runs. 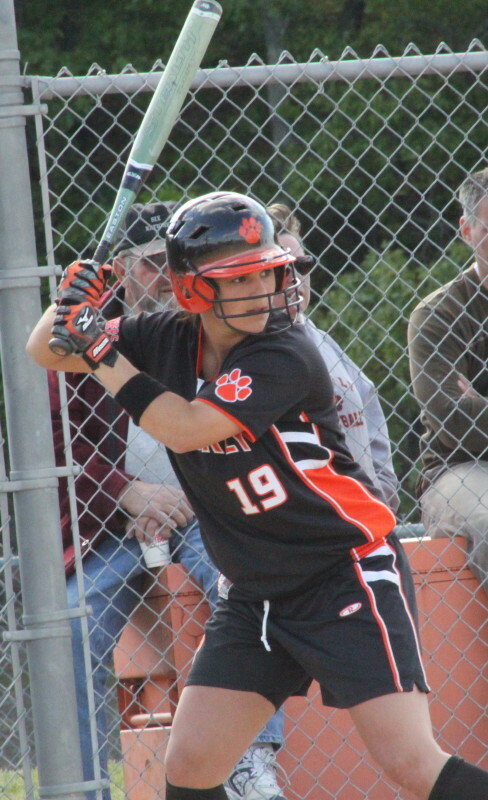 In fact, everyone in the Panther starting lineup, except Monica Cassola, had hits. 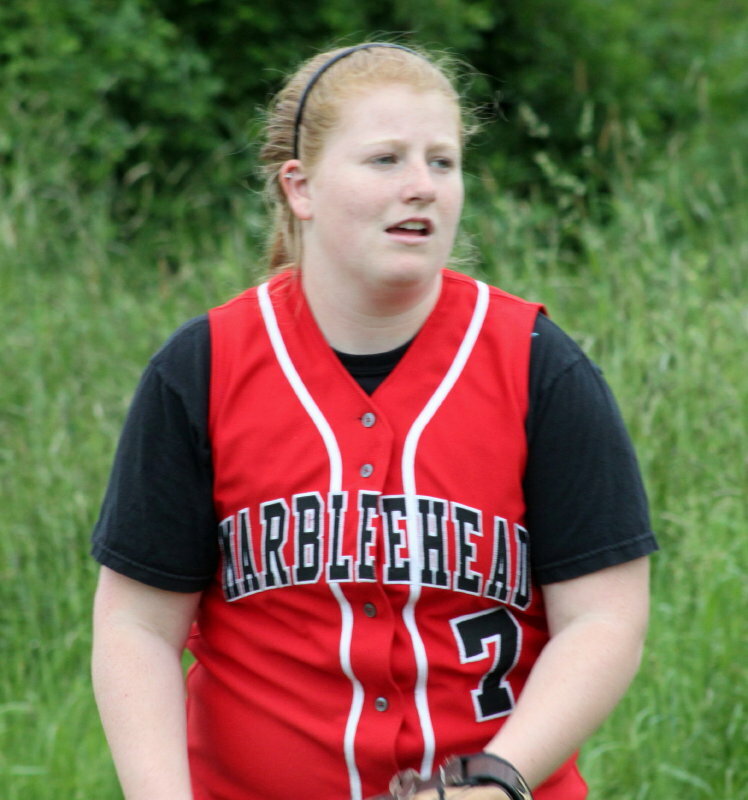 Jen Powers started for #17 seed Andover (10-11) and cruised 1-2-3 through the first two innings. In the third, the first three Panthers reached but Jen escaped by retiring the next three batters. In the 4th, a Jen Ashton sacrifice fly tied the score and was the second out of the inning. However, Ashley Chalifour followed with a 2-run single up the middle. Later in that inning Ashley was driven home by Erin Silvestri’s single to left. In the 5th, Aimee McKenna’s double put runners on second and third. 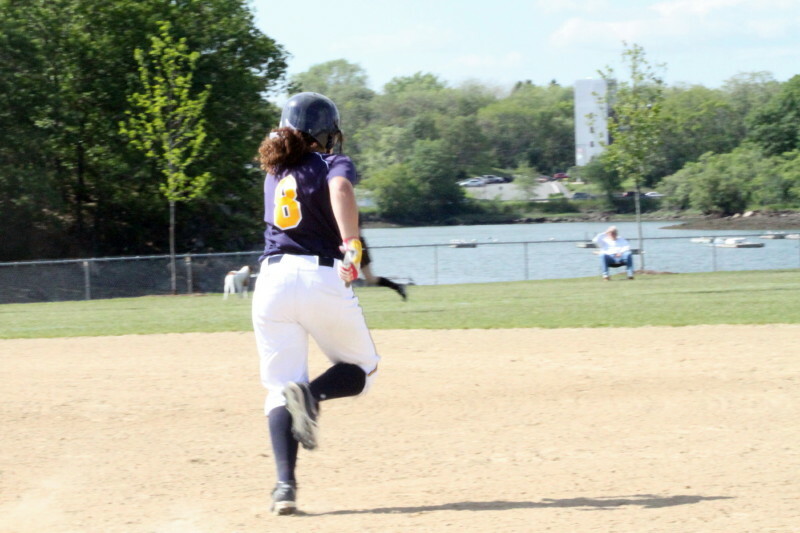 Kate Silvestri drove in the two of them with a triple. Jen Ashton followed with a triple to drive in Kate and later Ashley Chalifour’s single delivered Jen. 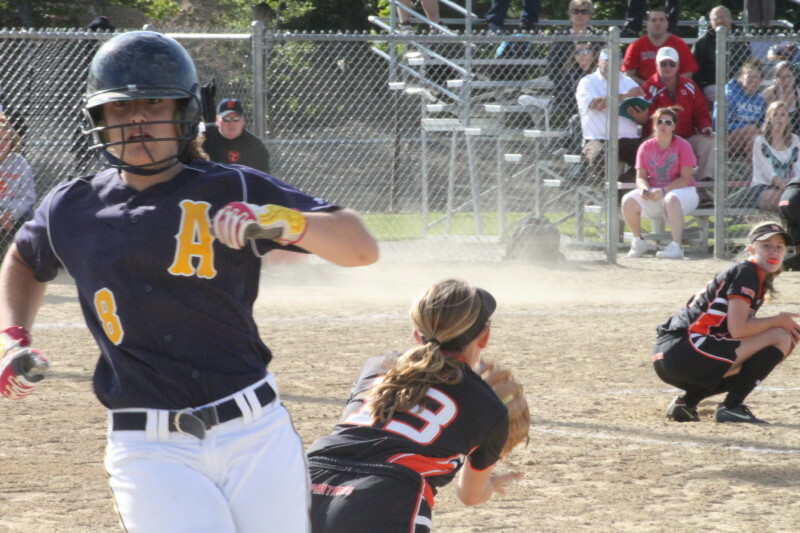 Nicole Ericson singled and later scored Andover’s only run in the first inning. Andover arrived late (Beverly traffic) but started hitting right away. Nicole Ericson hit a hard single to right in the first inning that got by Hannah Pitman for a 2-base error. Shannon Tully followed with a long triple over center fielder Jen Ashton’s head. 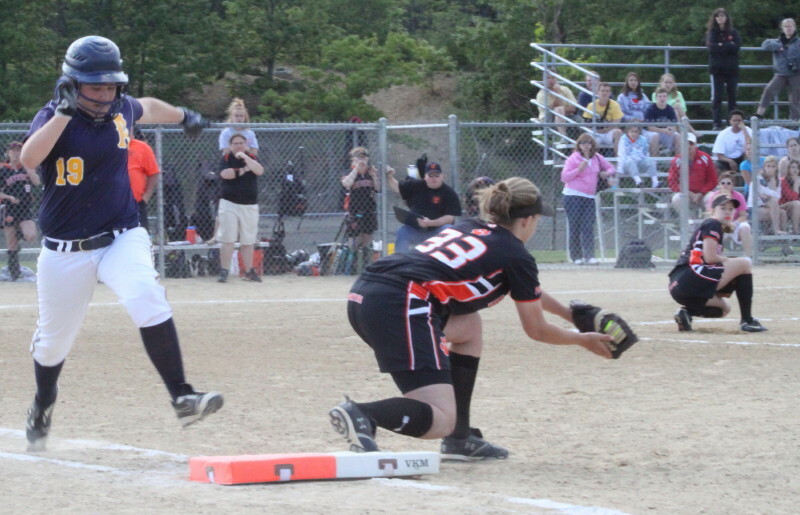 The triple drove in Nicole with the only run the Warriors would get. On that triple, there was a high throw to third. 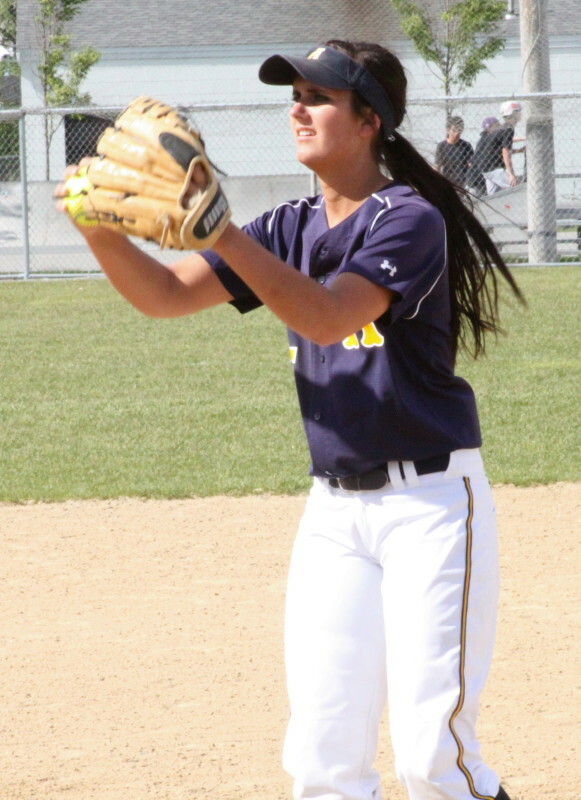 However, left fielder Ashley Chalifour alertly backed up third and prevented a second run from scoring by catching the overthrow. 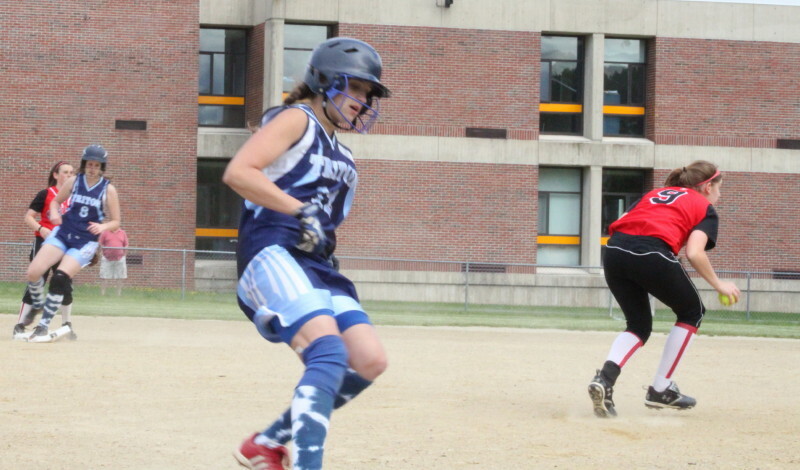 Andover ended up with eight hits for the game with Dina Hagigeorges leading their attack with two hits. The Warriors stranded ten runners. They were also unable to take advantage of four Beverly errors over the last four innings. 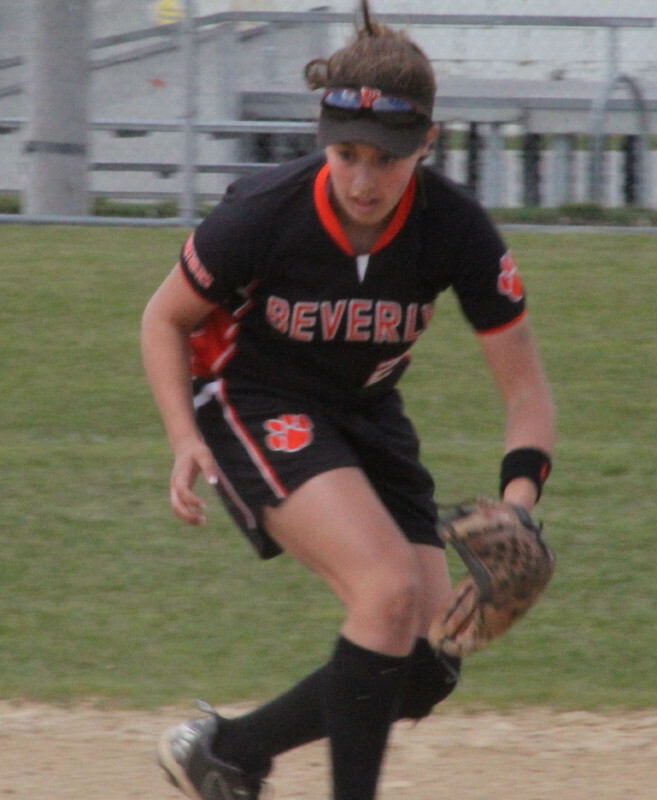 Beverly had errors by 3B Monica Cassola and 2B Natalie Shea in the seventh after two were out to load the bases but shortstop Erin Silvestri’s seventh assist prevented any runs from scoring. 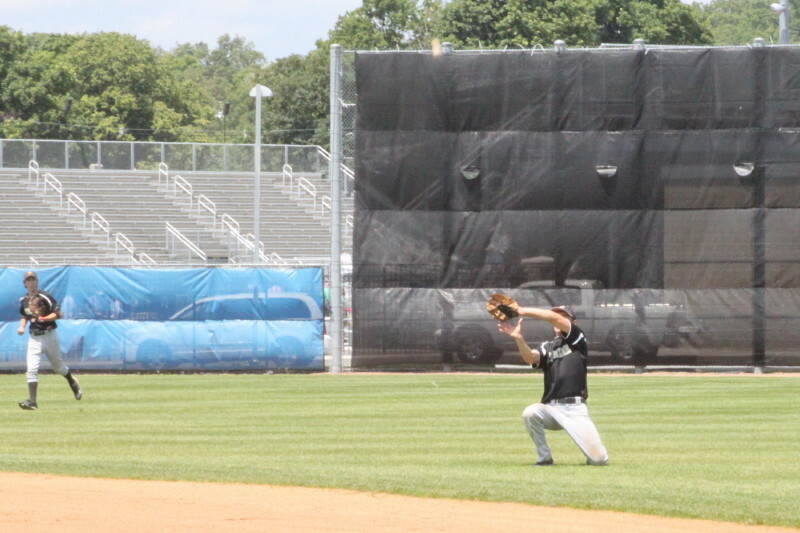 There were several excellent fielding plays in the game. 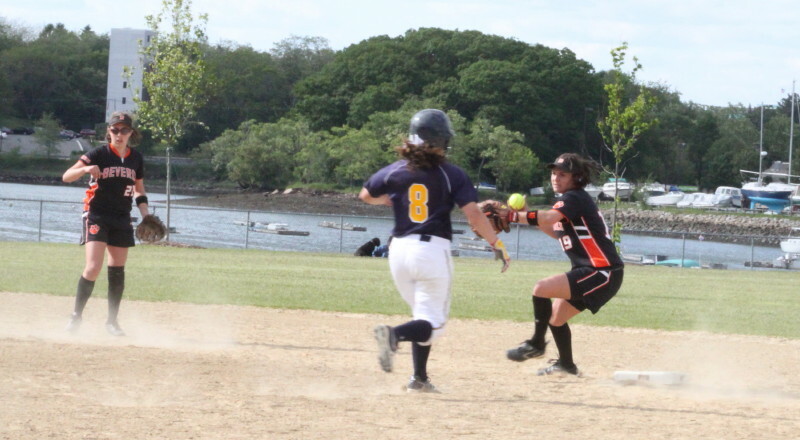 Beverly catcher Jenna LoVasco made a nice catch on a foul pop. 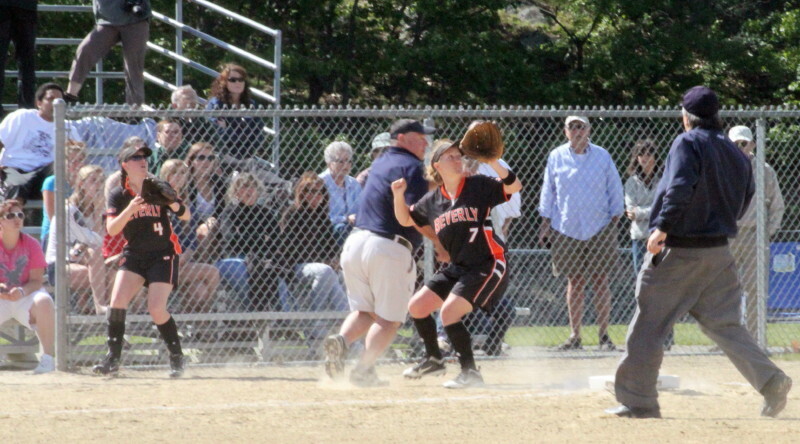 Andover second baseman Molly Awiszus went a long way to get a foul pop outside the first baseline. The middle of Beverly’s double play in the fifth inning. Most memorable play? Watching Beverly turn a 6-4-3 double play in the fifth. It went Erin Silvestri to Natalie Shea to Kate Silvestri. Meg Leary out at first in the first. Mariah Dodd takes throw.